The scene from the hangar door that morning. It was a chilly morning as I suited up for the journey – about 36 degrees. I had been watching the weather during the week prior and decided although it would be a cold start, the temperature would be more temperate after about 9 am. Because at least the outbound leg would be made in the cold I was fully outfitted in my Stage 3 Winter Apparel. Later in the report you will see a picture of this cold weather gear. 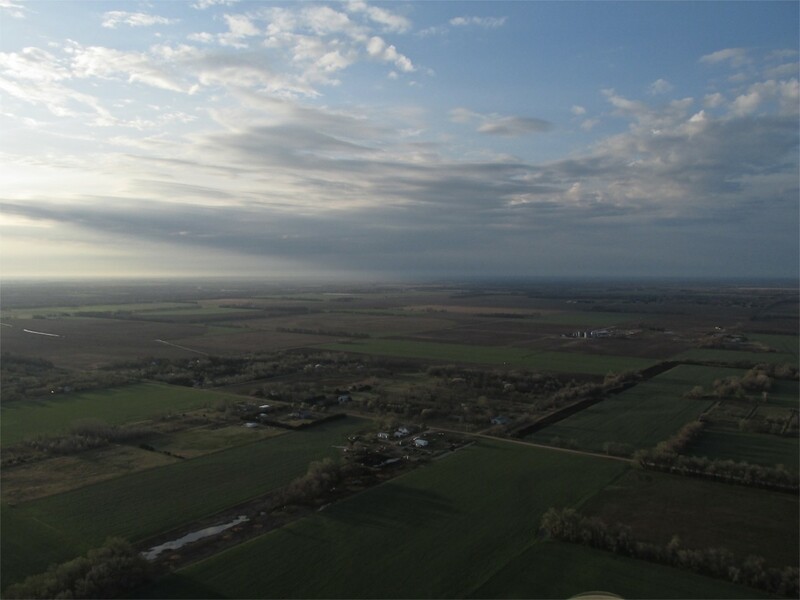 From the weather we had been experiencing the week leading up to this flight, I knew the winds would build throughout the day and be out of the South Southeast. Those of you who have read any of my reports know that I have developed some methods for distance flying in my “38 mph cruise speed” Quicksilver Ultralight. I have detailed the method HERE. Regardless of flight direction, these flights always start at sunrise in order to fly under headwinds and then make use of that same wind as a tailwind for the return flight. The flight to Perry proved the concept in spades. Perry is on a 179 degree heading from my airport and the wind was to be coming from pretty much that direction. As it turned out, everything worked according to plan. Right After Takeoff. Overcast. What Will The Day Bring? From my weather prognostications I believe it will clear up as I progress BUT, one never knows for sure. 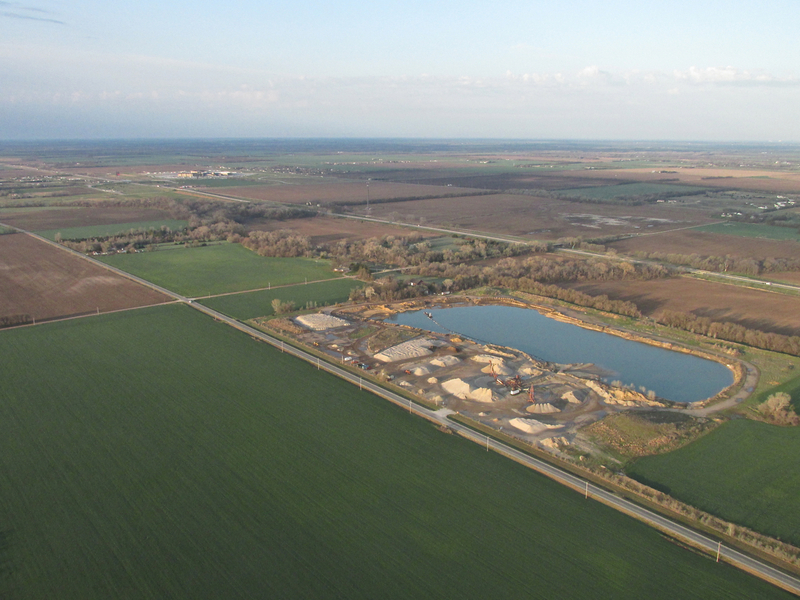 This sand dredging company is just South of our field. Farther to the Southwest you can see a casino on I-35. 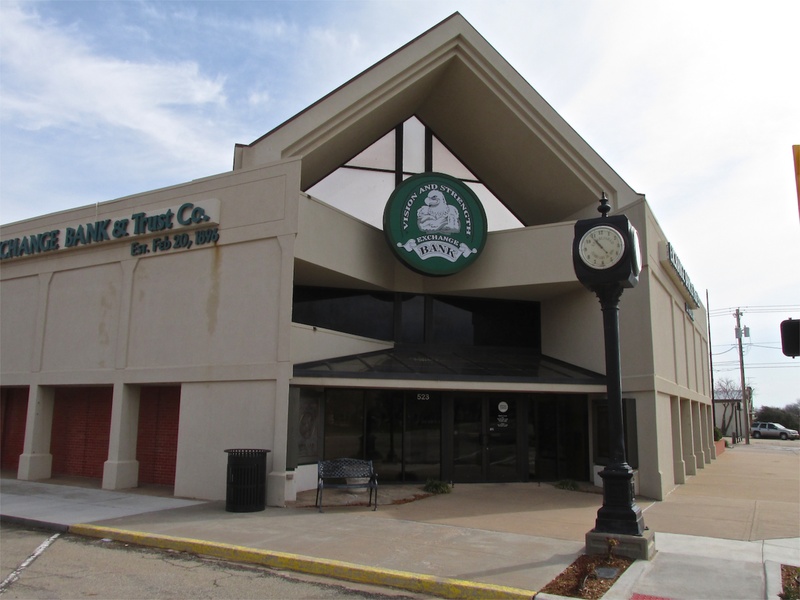 Wyldewood Cellars – A Kansas Winery. About a year ago these people were treated very poorly by the Alcohol Tobacco and Firearms Bureaucracy because it was alleged they were making “medicinal” claims regarding their elderberry wine. Agents showed up with guns and padlocked the place and wouldn’t let the owners touch even their “non-disputed” property for quite a while. I thought the ATF went way overboard on that one. 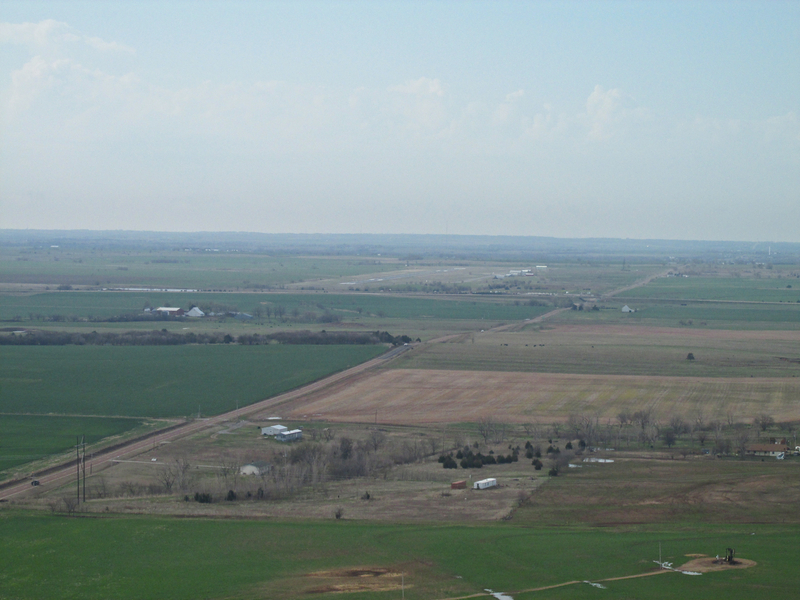 Besides being a good candidate for my “Headwind Out” Fun Flight Method, Perry, Oklahoma would be a destination of Great Historic Value. I have driven past it innumerable times down Highway I-35 but never had the opportunity to stop there. Perry is one of the many towns, and now cities, that came out of the series of Land Rushes staged at the end of the 19th Century. Nothing like this has ever happened in the world before or after. 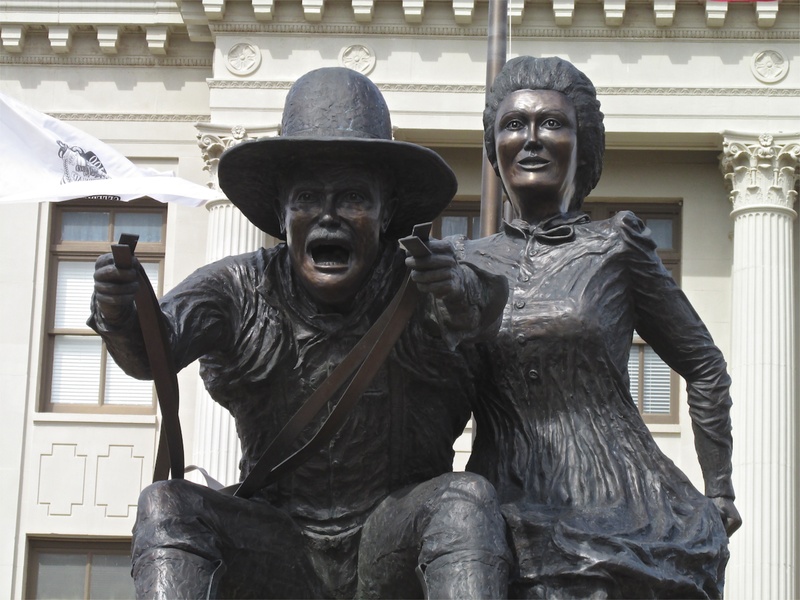 The Oklahoma Land Rushes were defining events that help portray to the world the unique character of The American People. 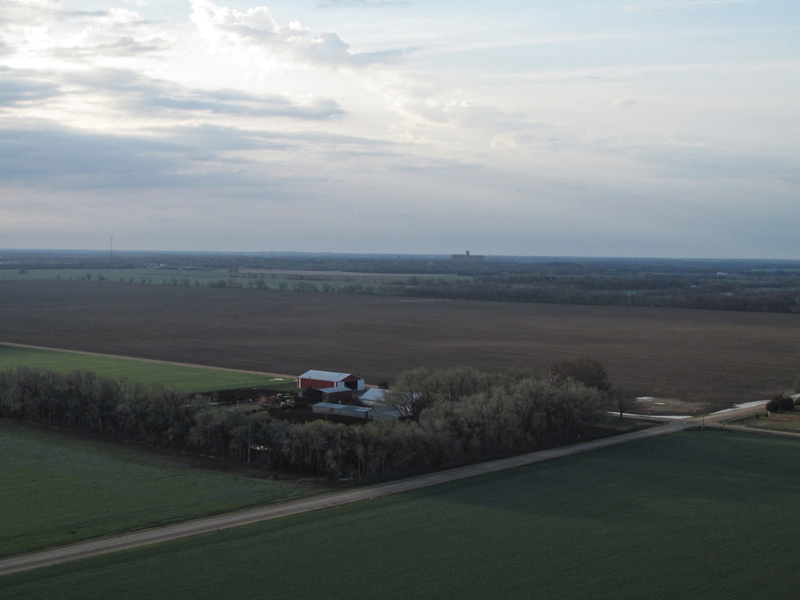 A nice farmstead in the fore with the town of Belle Plane in the distance – shot from 100′ AGL looking Southeast. After passing the “congested area” of housing South of Selby Aerodrome, the Sun cuts through the overcast and I settle down to Flight Level 50. A New Oil Find is just off my port bow. When I was young, the role model for us boys was The American Cowboy. More recently Kevin Costner and The Great Robert Duvall did wonderful homage to this archetype in the movie Open Range. Another of my favorites was the wonderful series Lonesome Dove (also starring the immortal Robert Duvall) which was based on a true story. The Cowboy we revered stood up for the little people and believed in -and acted for- Justice, Freedom and The American Way. The Word of a Cowboy Was His Bond. 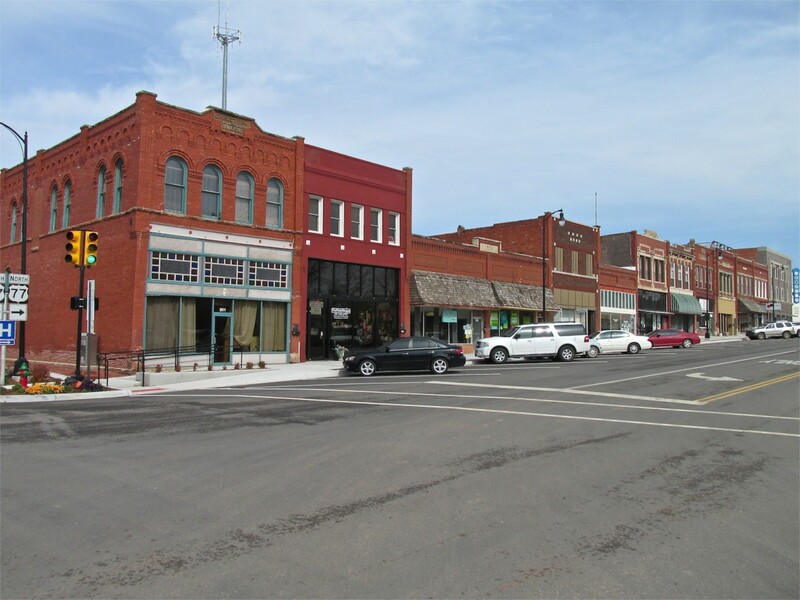 Every small town I visit on my Fun Flights evokes those feelings I had in my youth toward The American Cowboy. I see those values reflected in the people and even the town squares and buildings. Perry is no different. It has that Golden Aura of The Old West. So evocative of the Cowboy Myths of My Youth, I feel it an honor to be able to walk streets such as these. They are a type of American Valhalla to me. The overcast is moving out. 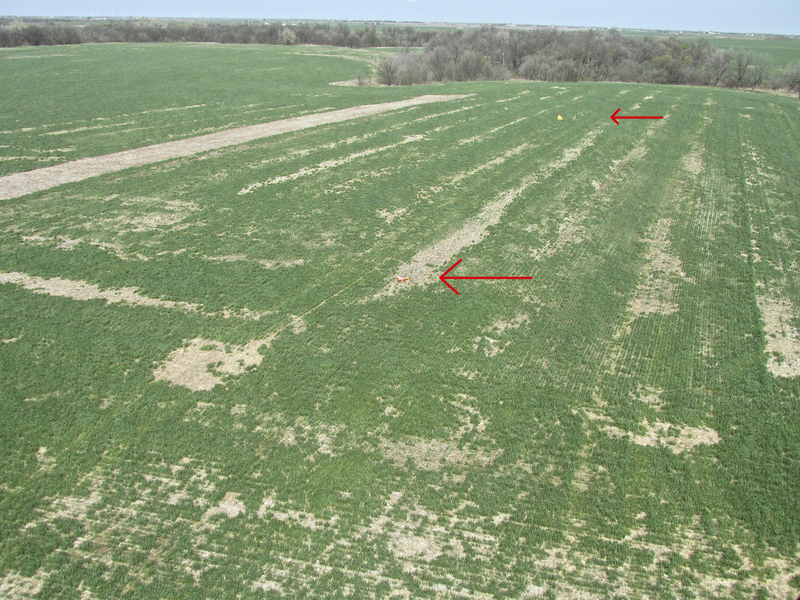 I see evidence that many farmers this way are planning a corn crop again this season. As I continue South I see more corn. I hope they get the rain they need this year. Suddenly Some Action! 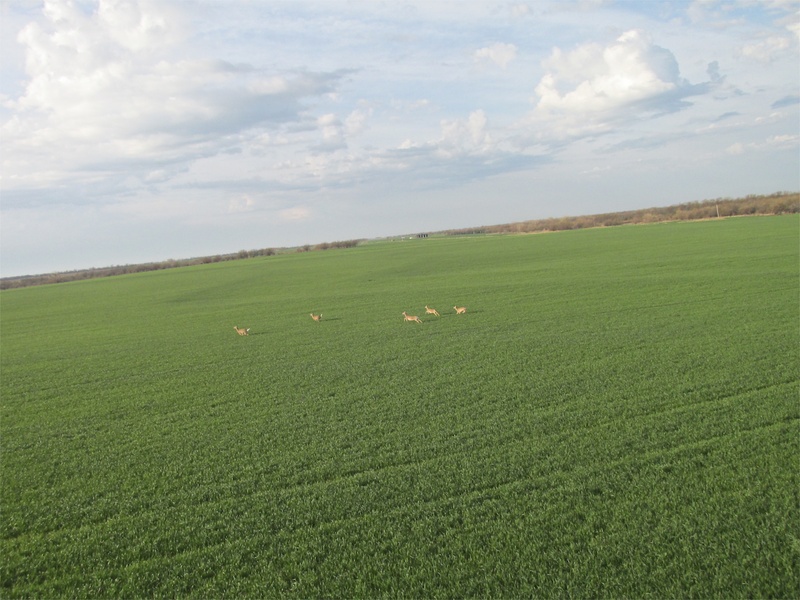 Out of a tree line a herd of deer gallop across the new corn. Inexplicably, but not uncommonly, they head toward my line of travel. …and the others he left behind bobbed and weaved in all directions. From the shadow you can see I am twisting in my seat to get the shots. After passing the herd of deer I see this beautiful cloud formation topping the deep, green of the new corn. 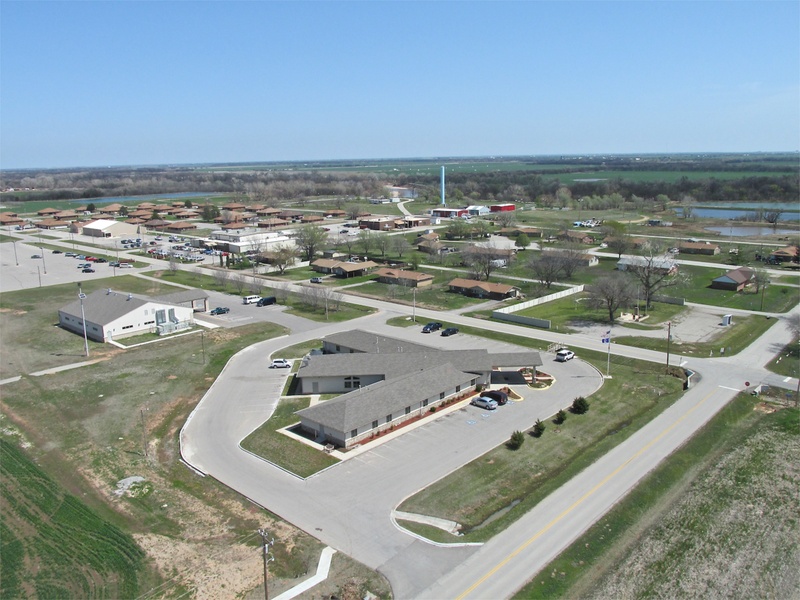 I think this is Braman, Oklahoma. I shot the photo with my telephoto lens and could not make out the name of the town on the water tower. 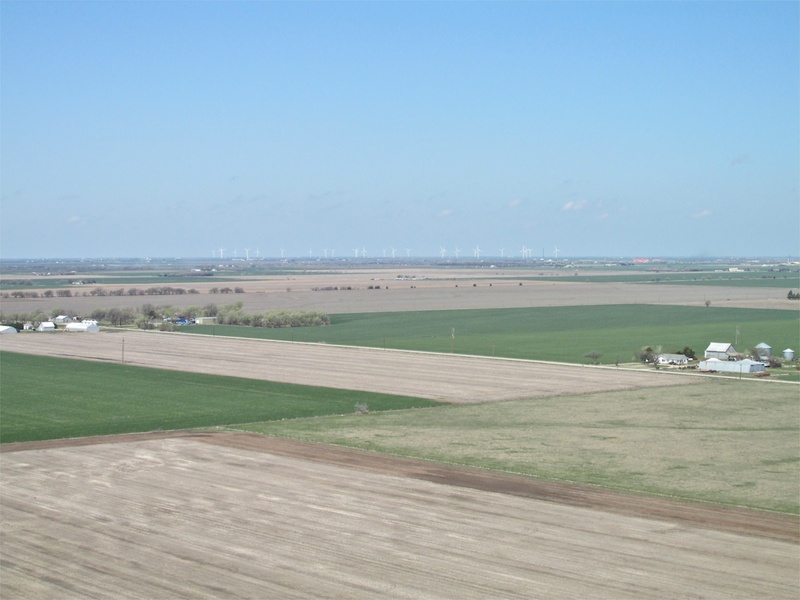 I also wanted to show the wind farm farther to the Southwest. I spent some time on Google Earth and searching the web in other ways to find this new wind farm but could not determine its whereabouts definitively. 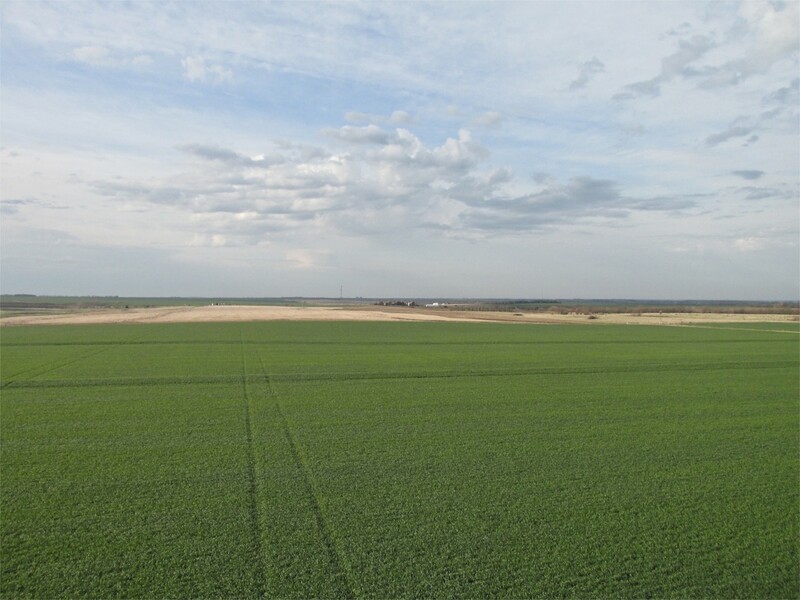 I think it is Southwest of Wellington, Kansas. One part of my “Headwind Out” strategy that elicits wary looks from my pilot buddies when I discuss it is the “nap of the earth” flying required at the beginning of the journey. 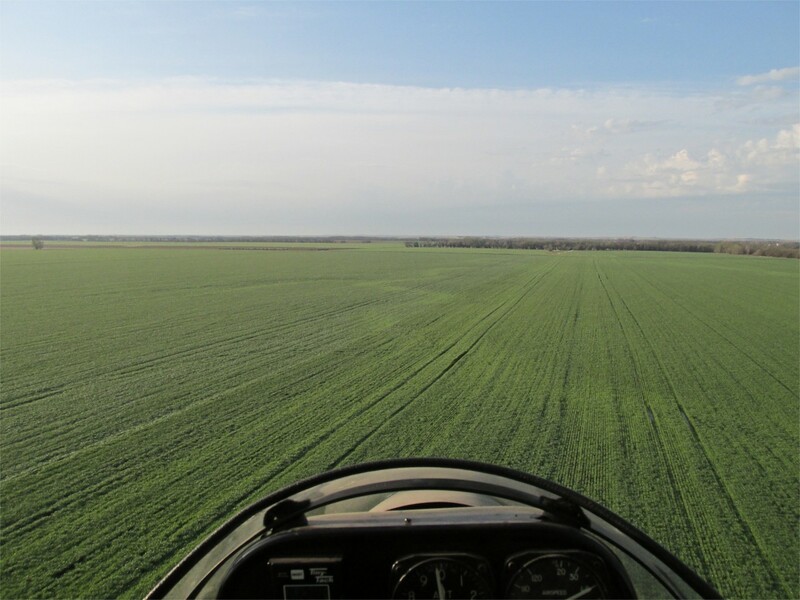 Ducking under the headwind early in the morning means maintaining altitudes above ground level (AGL) of no higher than 200′. I’m not recommending anyone fly this low if you are not comfortable doing it. For planes cruising in the 90+ mph range, it is just not advisable for long stretches. 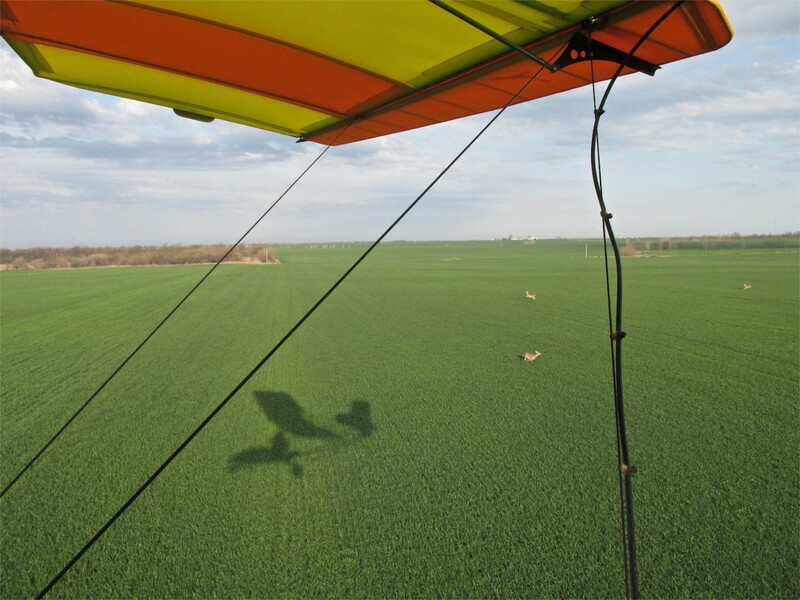 When learning to fly we are constantly reminded that “altitude is your friend”. I don’t disagree with that BUT I would remind you that the main reason for this teaching is to provide a pilot more possibilities for finding a landing spot should the engine quit. I am flying at speeds between 30 and 40 miles per hour. There doesn’t pass more than 30 seconds that I am not registering a landing spot in my mind. Also, I am very careful to maintain my engine, keep it running tip top and am very careful with my fuel and oil mixture. 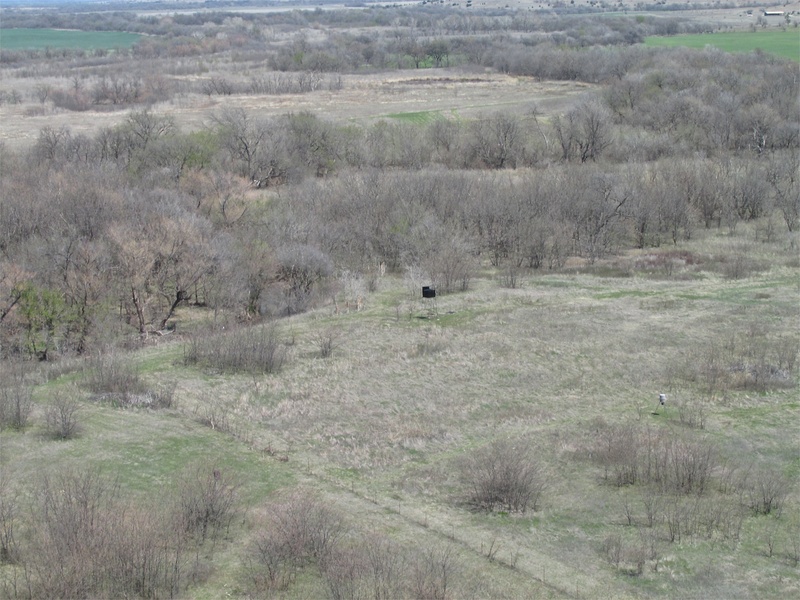 This is the wide open prairie. I can guarantee you I wouldn’t fly low like this over the forests. My MXL can land almost anywhere and, for the most part, The Great Plains seems like one big landing field for The Sky Surfer. Suddenly as I crossed over a hedgerow, just ahead I saw evidence of yet another Oil Find. I grabbed my camera and snapped this shot as I passed by. 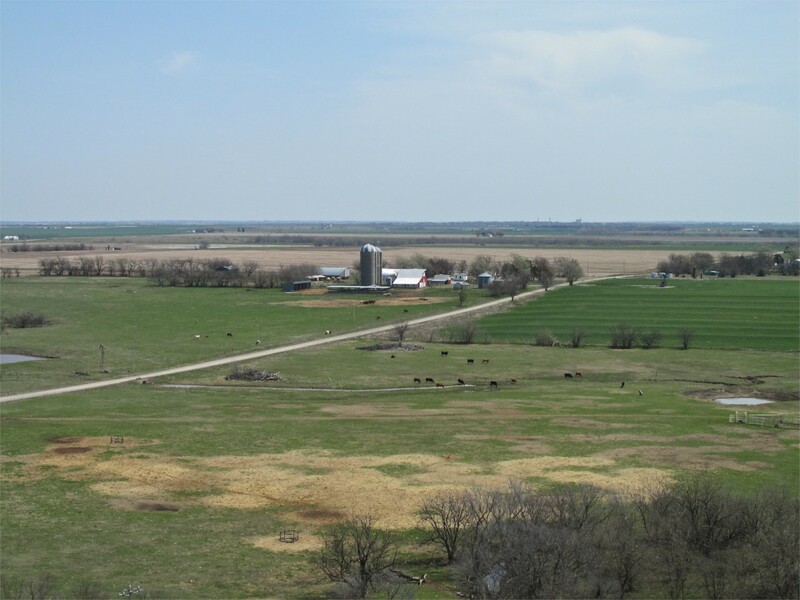 I am now just a couple miles North of Blackwell, Oklahoma. 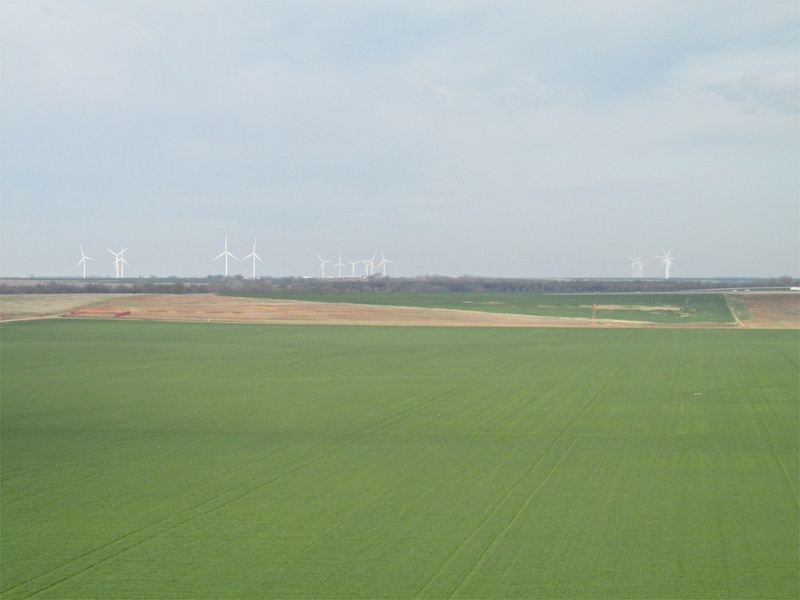 The wind farm shown earlier is directly West of my position. Imagine the dismay of a 1890’s Oklahoma Settler to be digging a well for much needed water and to have it fill with bad smelling, black stuff you can’t drink. No doubt that was the inspiration for the moniker of this town. After braving The Land Rush only to grab land with “black water”, they would have thought their high stakes gamble had gone sour. 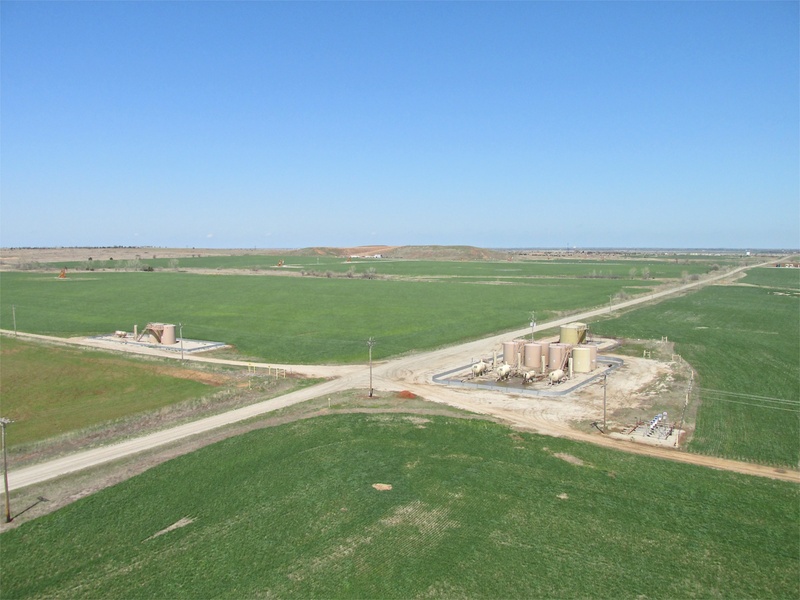 Times have changed, though, and Blackwell, Oklahoma is among many communities throughout the state that have prospered from the black water. I have stopped in Blackwell many times to grab some coffee (another black water) on the trip to Oklahoma City and parts farther South. It seems to be a thriving town. I shot this with the telephoto. 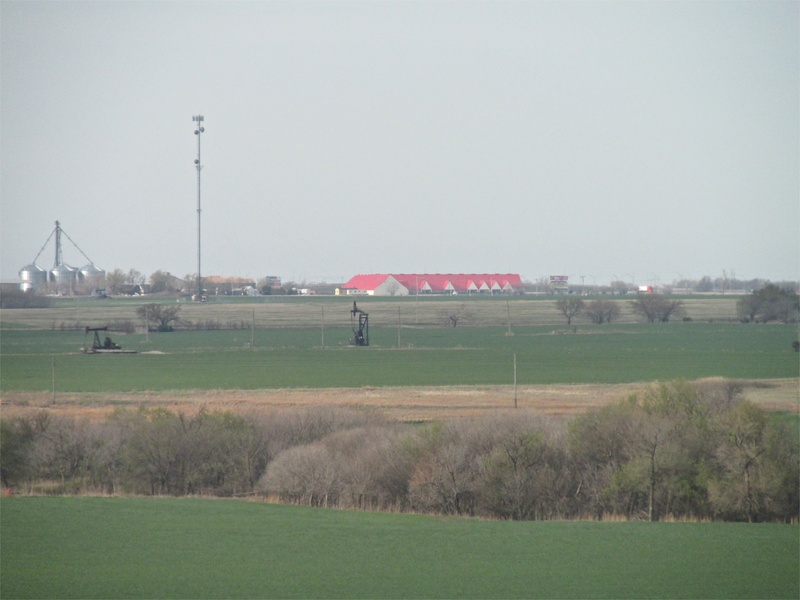 Having seen them many times from the highway, I recognized the “red top” buildings as being at the entrance to Blackwell from I-35. At one time they were part of the “Outlet Store” movement across the country. Today they look empty or maybe being used as warehouses. While the sun was a bit higher off the horizon by now, shooting into it still clamped the camera down enough to produce a high contrast image. 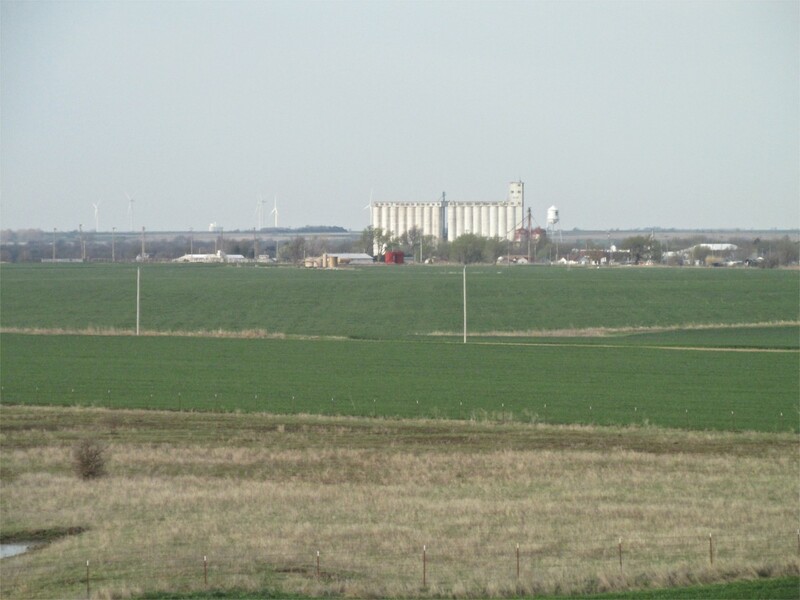 Blackwell is not a “high rise town” but in the distance you can see a few grain elevators reaching up. 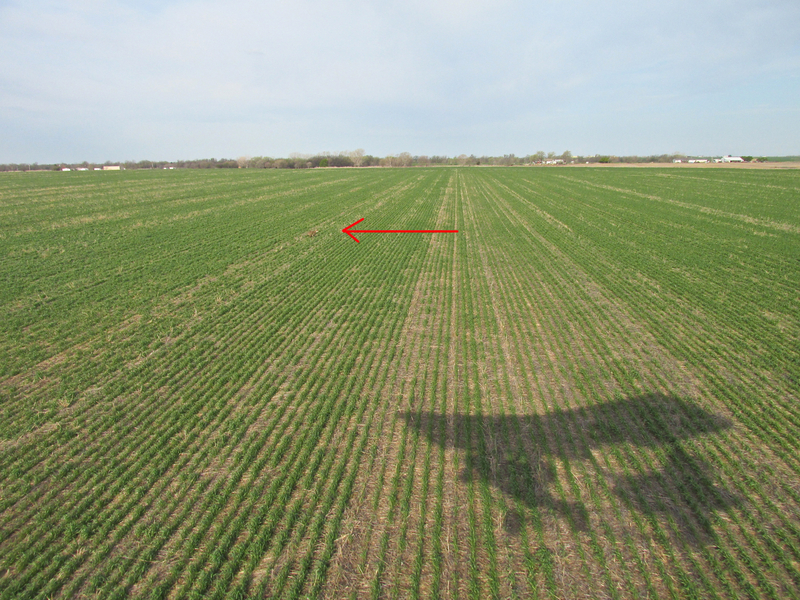 Just after passing Blackwell, I dropped down over the newly sprouting corn. Suddenly I saw a coyote crouching in the middle of the field trying his best to disappear from the big yellow bird approaching him. Finally he couldn’t stand it and started bobbing and weaving all over the place. Trying to get the camera to start up and then find the shutter button with my “gauntlet gloves” on was quite a task. At least I was able to get this shot. While not all that great, the inclusion of my shadow makes up for it. 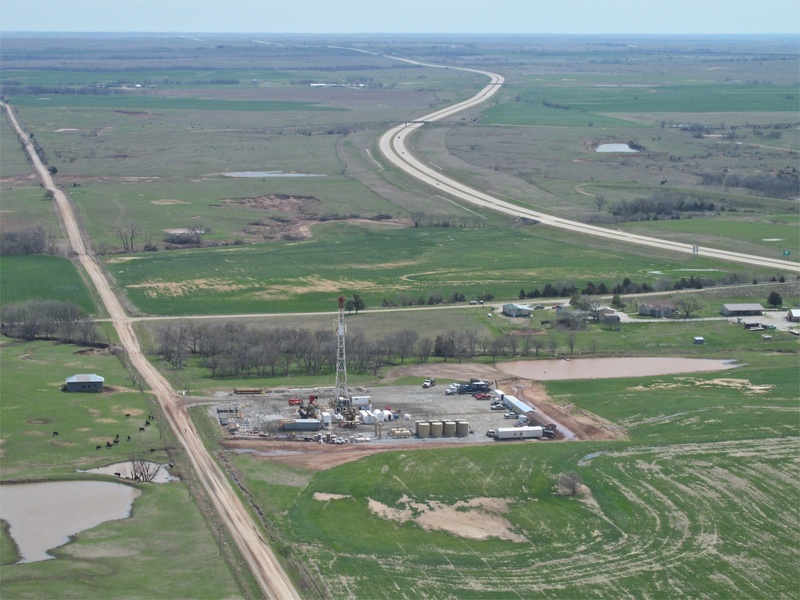 Just a few miles South of Blackwell is Tonkawa, Oklahoma. I don’t know much about it other than that it opened one of the first casinos in our region a while back. It was directly in my path. I decided the best course was to swing around to the West to go around it. I have more pictures of its East Side on the way back from Perry. Looking down Tonkawa’s North Avenue from the West. 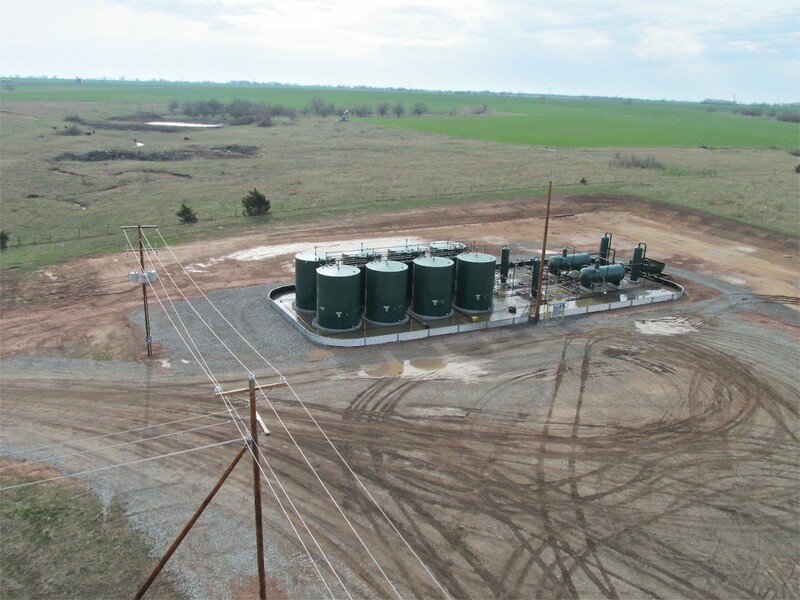 Just South of Tonkawa I cross over this Gas Well. It’s not the best shot but I was getting really low on fuel and could not waste the gas to come back around to get a better shot. Longhorns are fairly unusual so I wanted you to see it. My MXL has an interesting design feature. The fuel tank is translucent and sits right over my head. Some might not like this but it is great for gaging fuel reserves. 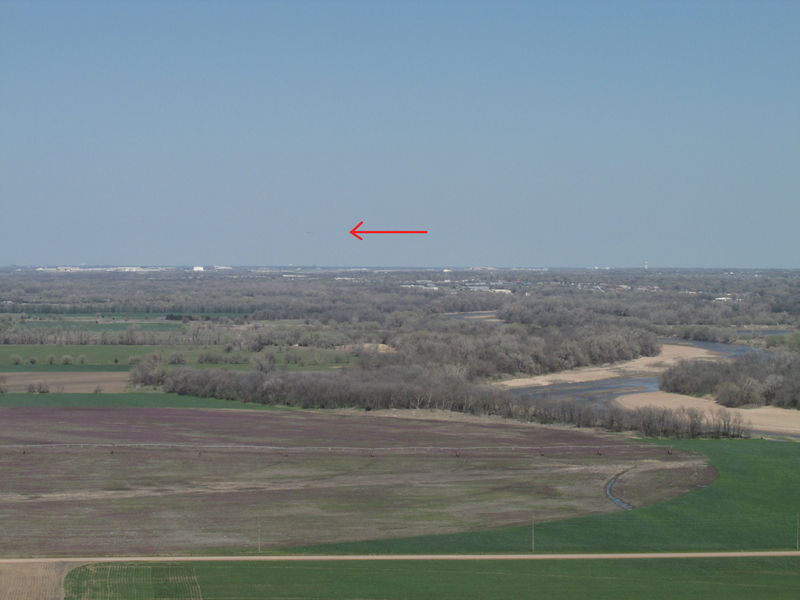 After being airborne for over two hours and having passed my big waypoints (Blackwell and Tonkawa), I still had not sighted Perry Field. By now I was staring at much less than a gallon remaining. This factor contributed to the urgency of my “horizon scanning”. I had studied the map and seen Perry Muni from outer space (Google Earth) but had never been there prior to that morning. Most airports have a tower of some kind. 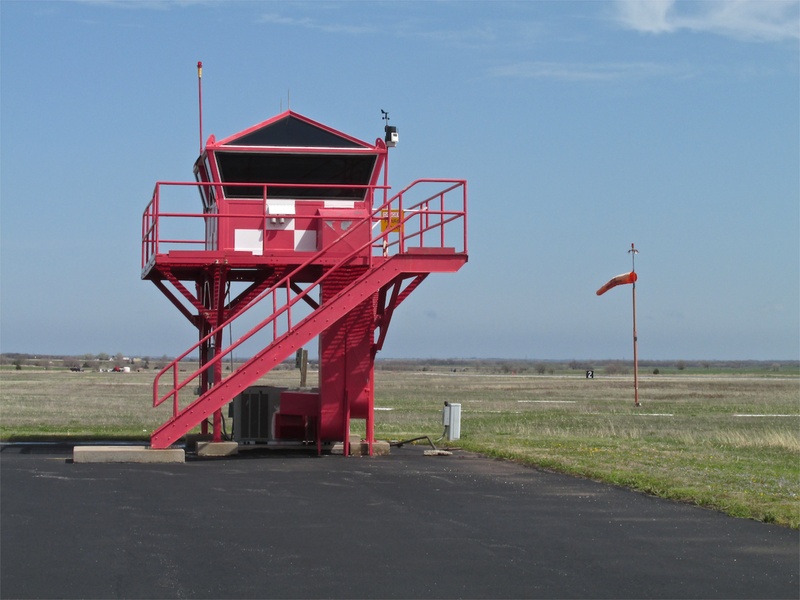 It can be an actual control tower (although most of the airports I go to are uncontrolled and do not have one) or can be a rotating light beacon on a tower. I looked and looked and saw no tower on the horizon. I knew it had to be ahead of me so I burned a little extra fuel to climb into the gradually increasing headwind to get a better view. As soon as I did – Voila! There it was! No towers (at least not the kind I was looking for) but instead a sharp, well maintained looking runway with a big 17 on it. I scanning for traffic. Now normally I make a standard pattern entry when landing. This time due to my low fuel situation I elected a straight in approach. The landing was uneventful. I taxied to the tie down area and shut the motor off. 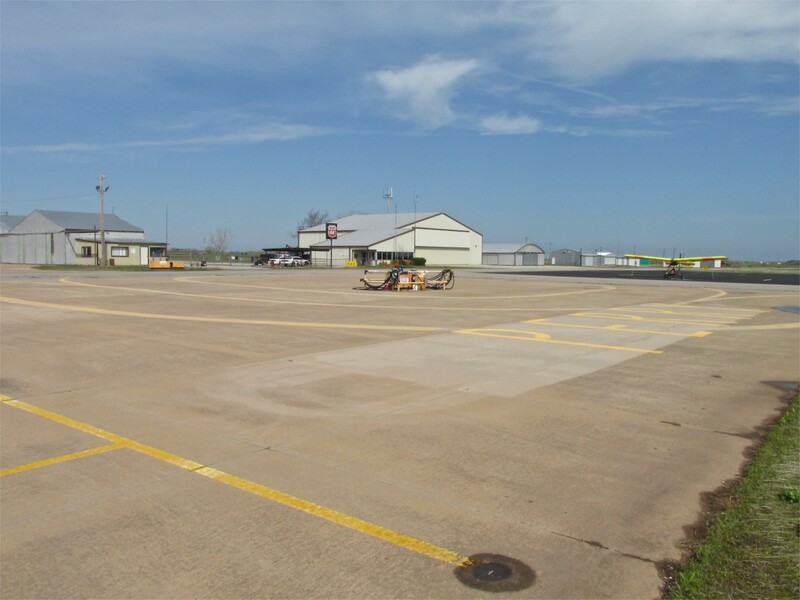 I was the only one on the ramp at that time so I taxied around looking for the best place to tie the MXL down. For most aircraft, the direction of the tiedown is not significant. For an Ultralight such as mine, it is. As you can see from the picture above, because of its design, the MXL will rest on its tail skid with no pilot aboard because there is not enough weight forward of the “balance point” at the main gear. When in this stance, if you tie it down with the wind hitting it from the direction of the tail, the net effect of the wind will be to push the aircraft forward and down. If you tie it down with the wind in the direction of the nose, the force of the wind will push the plane back and UP. It will be encouraged to take flight. 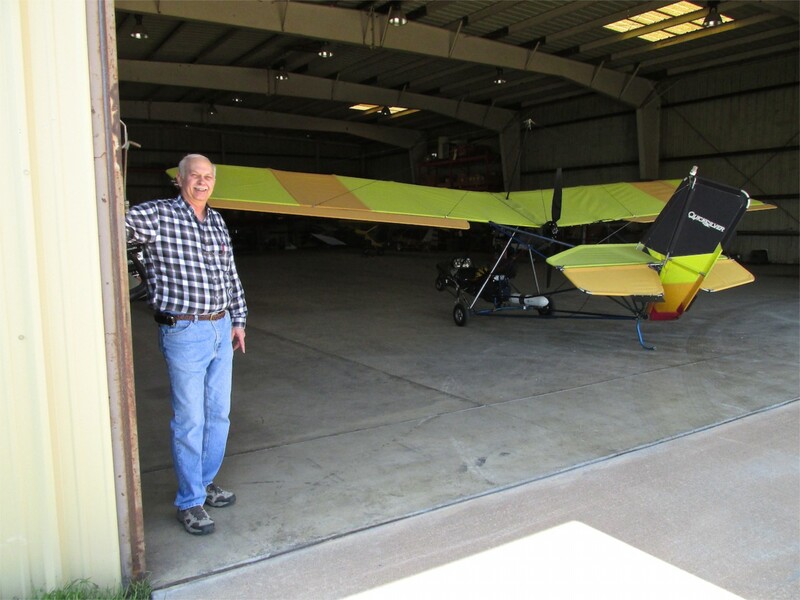 After landing in rather high wind years ago in my old Quicksilver MX, I was doing my best to taxi the plane with the stick “nose down” and pointed into the wind to try to make it into the hangar. I got as close as I could but could not make the turn without the wind lifting my right wing into the air. The wind was strong enough that I needed some engine power to keep from being pushed backwards. Finally, though, I had to shut the old Cuyuna motor off because the cylinder head temperature was red-lining. Due to the circumstances of the moment, I could not turn it “tail into the wind”. With no one around to help and no other choice apparent, I got out of the seat and was tracing my way down the front spar trying to get to the wing tip in order to turn the plane around. Suddenly as I was holding the front spar a strong gust came up and lifted me AND the MX up into the air. I had the presence of mind to let go once my feet left the ground, only to drop down and watch helplessly as the plane arose and made a perfect “half loop” coming to rest on its back. The king post was bent in half and the plane folded up like a restaurant napkin. I was not impressed with myself. The next day before I arrived at the hangar, the wind had dropped to zero. My buddy Steve Ewing had arrived at the field early, had seen the MX and turned it over. After examination, the only real damage was the king post. I replaced that and never forgot about what wind can do to an Ultralight On The Ground. 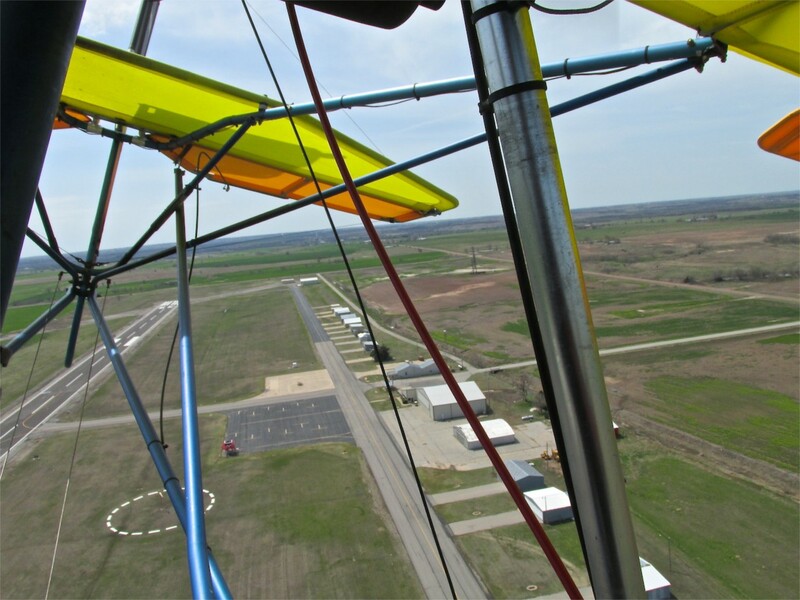 The reason for my urgency to tie my plane down had much less to do with all that wind stuff I just put you through above… I had to go to the bathroom and I headed right in the door, saw the Men’s Room sign and made a beeline. On exiting the restroom I saw the scene below and took the picture. 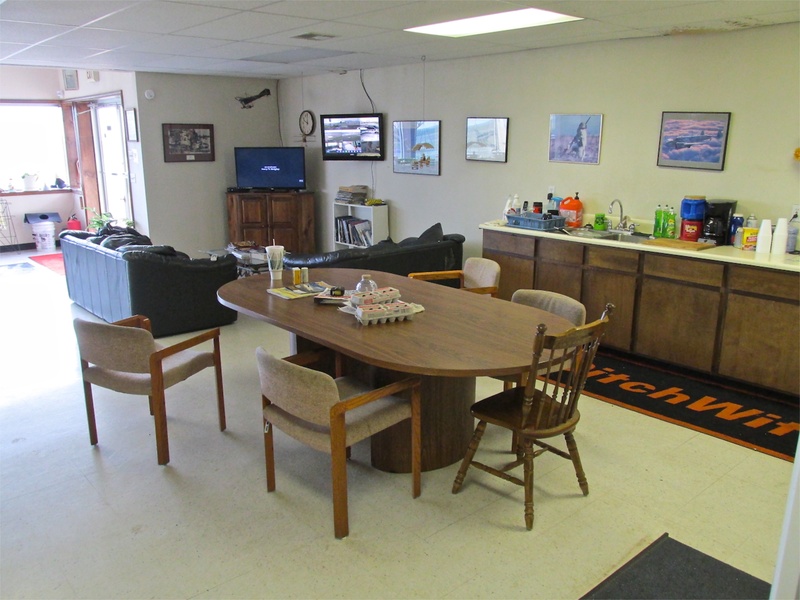 Here is the Perry Pilot’s Lounge. The Flight Line is out the window at the left side of the picture. As I came around the corner I met Darrel Struble. He is the Airport Attendant on weekends and was in the office when I first came in. 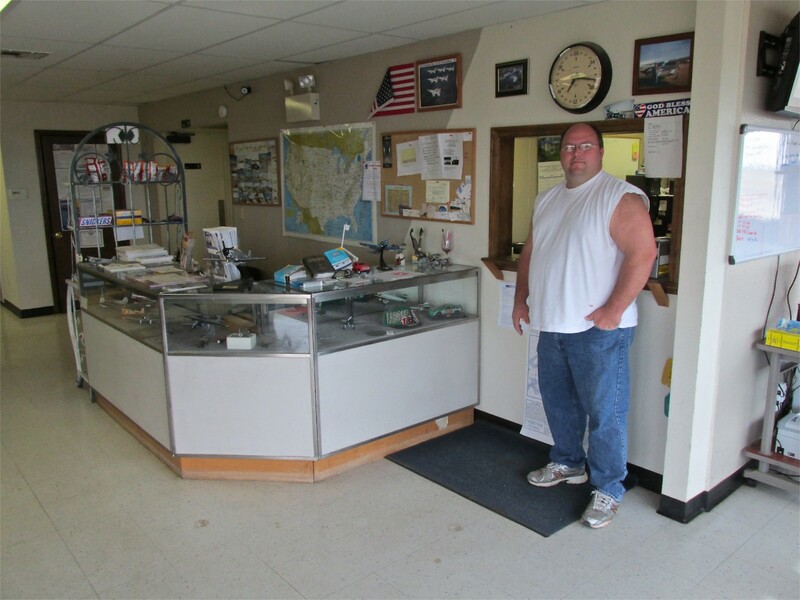 I asked him to stand over near their sales counter for the shot below. Darrel Struble holds down the fort on weekends. Darrel works at Business Imaging Systems in Edmund, Oklahoma as a Software Architect. Beings how I am involved with computers and software myself, we had some crossover interests and I was able to ask questions somewhat pertinent to his profession. Business Imaging Systems is a growing concern in the software development field. After I got a pretty good handle on B.I.S. 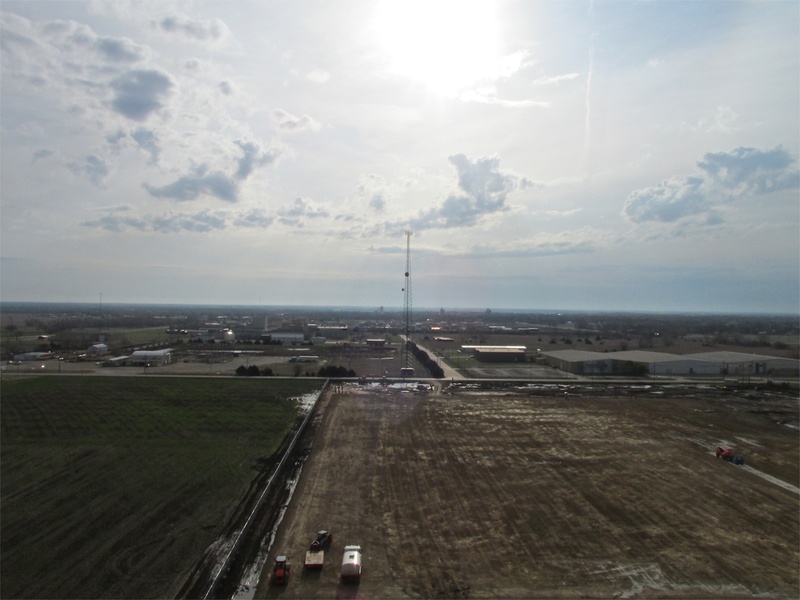 and the work they do I queried Darrel about the Ditch Witch Airport and if he thought they would mind if I flew over there and then walked around town a bit. He said it was closed and no longer accepting traffic but volunteered that his airport had a courtesy car I could use if I wanted to look around Perry. I said “Excellent!”. I had brought a hanger to the hangar. 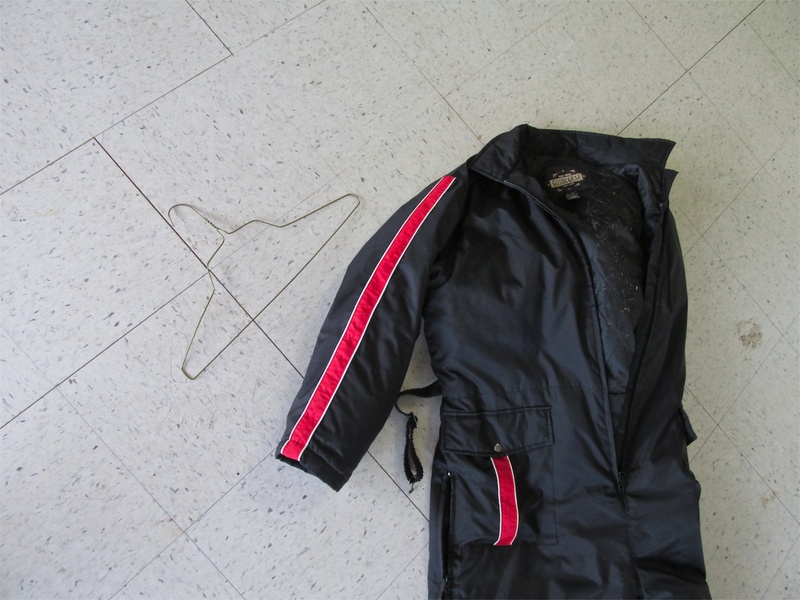 In the darkness of the early morning takeoff I had neglected to remove the snowsuit’s hanger before stepping into it. I guess that’s why I’ve always been called “wiry”. I figured after showing him “The Hanger Stunt” I better grab the Courtesy Car and beat it out of there before Darrel changed his mind on the car loan. I hopped in the white car and made the five minute drive into town. The first thing that caught my eye as I pulled into the downtown square was the massive mural you see in the photo below. 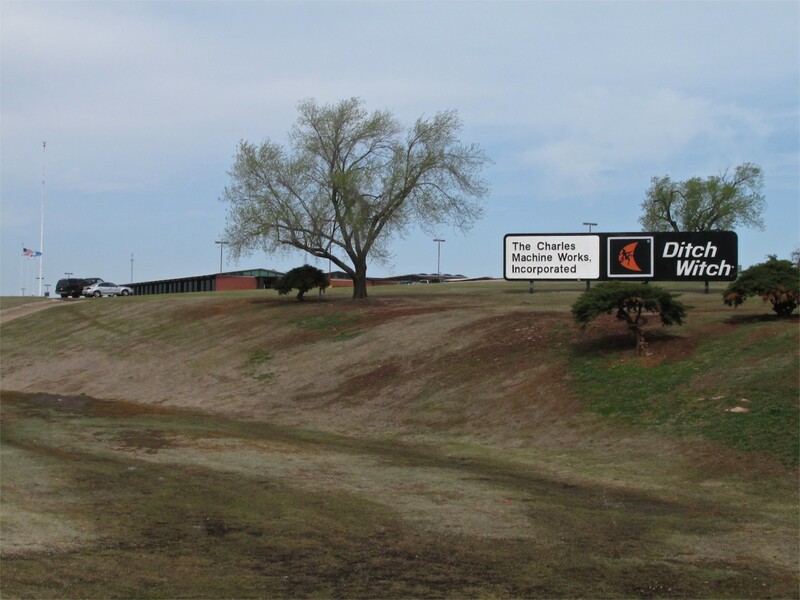 What has become known as “The Cherokee Strip” was originally called “The Cherokee Outlet”. 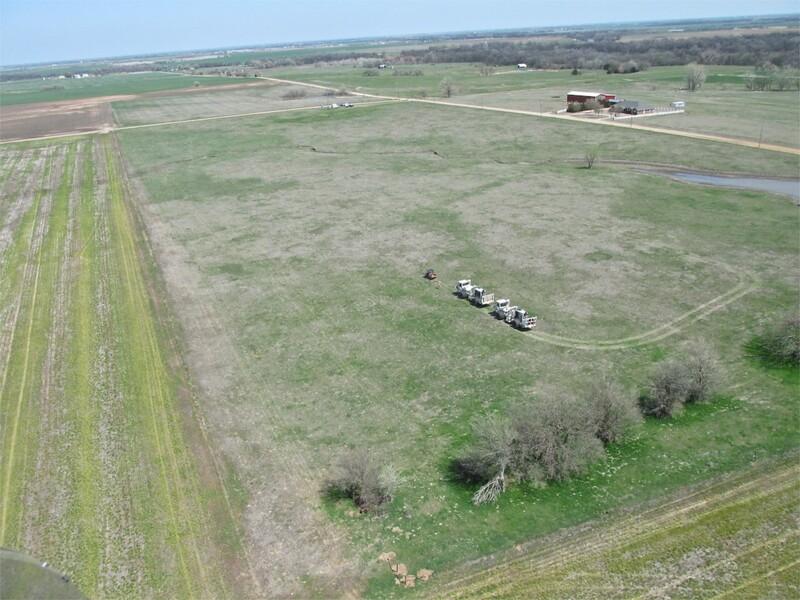 This was land opened by the famous “Oklahoma Land Rush of 1889“. While I didn’t have time to visit it that day, Perry has a fine museum with displays and artifacts detailing this era. I can remember watching movies about The Land Rush when I was young. This was an important part of The Old West. The 7th Street Side of the Town Square. 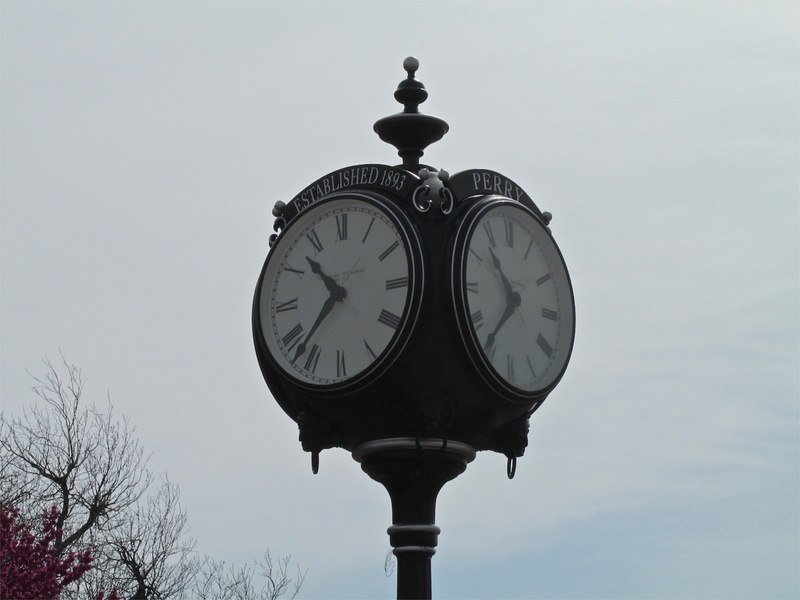 After taking the picture of the fine row of statuesque brick buildings on the outside of the town square I spied this interesting clock on the inside of the town square. There is one of them on each corner of the square. On the inside of the Town Square is the roman classic style City Library that was built in 1909. 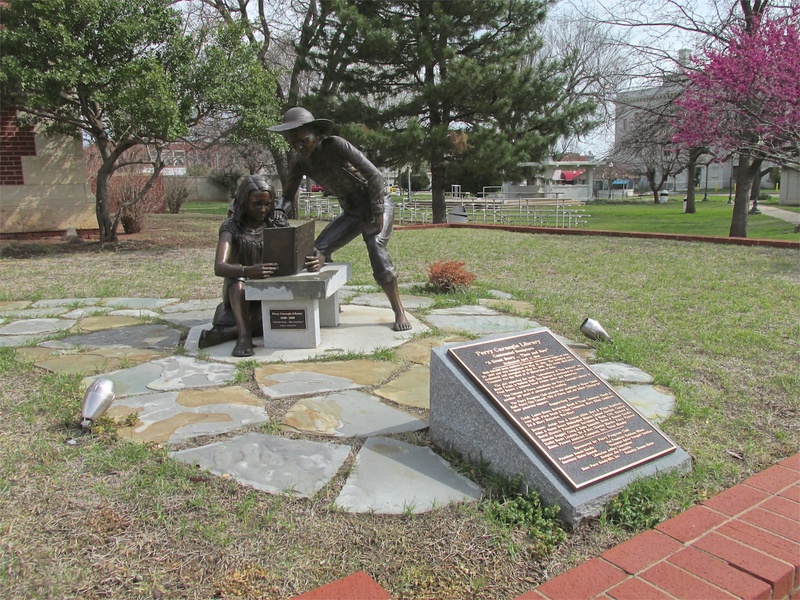 In front of the Perry Library is this great sculpture showing farm kids learning to read. The plaque in front of the statue gives credit to a Carnegie Grant and the help of prominent local citizens. 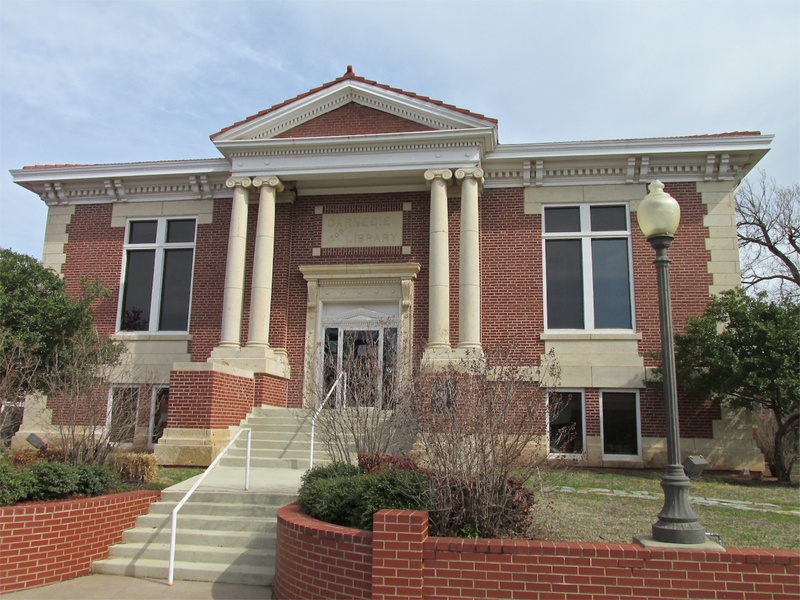 After admiring the edifice built in Perry for the goal of Universal Literacy and taking that as a cue as to the high value “Perry-ites” place on learning, I was further impressed with them when I rounded the corner to behold their City Hall. The City Hall is pleasant and functional looking but carries with it none of the extravagance seen in other cities with regard to their governmental buildings. The People of Perry have my hat off in respect with regard to their ordering of public priorities. Government is important and necessary but it should not lord over all other enterprises. I believe they have found a good balance. 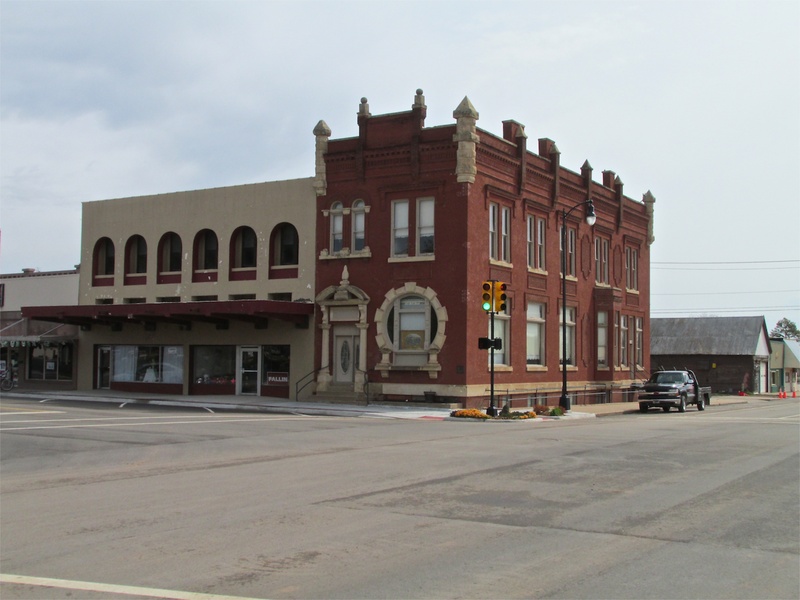 Perry City Hall is seen at the left of this block of buildings. 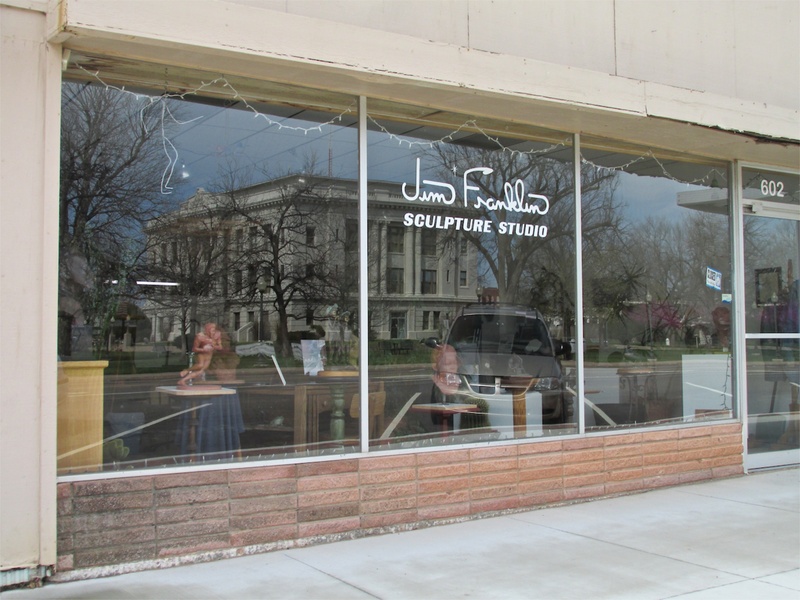 A block from City Hall is The Jim Franklin Sculpture Studio. He was not around or I would have been able to interview him. 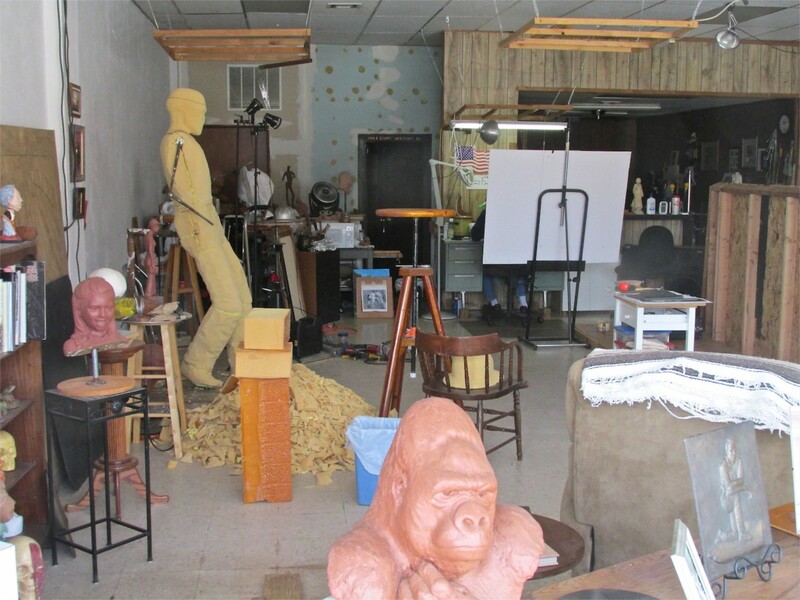 Nevertheless, I went ahead and took this shot through the boulevard window of the inside of his studio. Across the street from the City Hall is this interesting brick building with stone inserts. It is a law office. 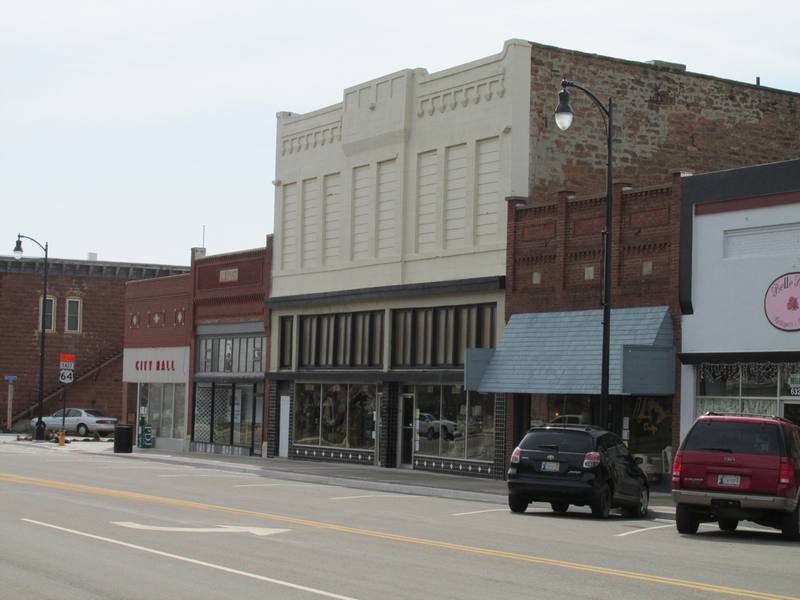 The previous shots were taken of buildings outside and adjacent to The Town Square. The middle of The Town Square features the fine library I have already shown. 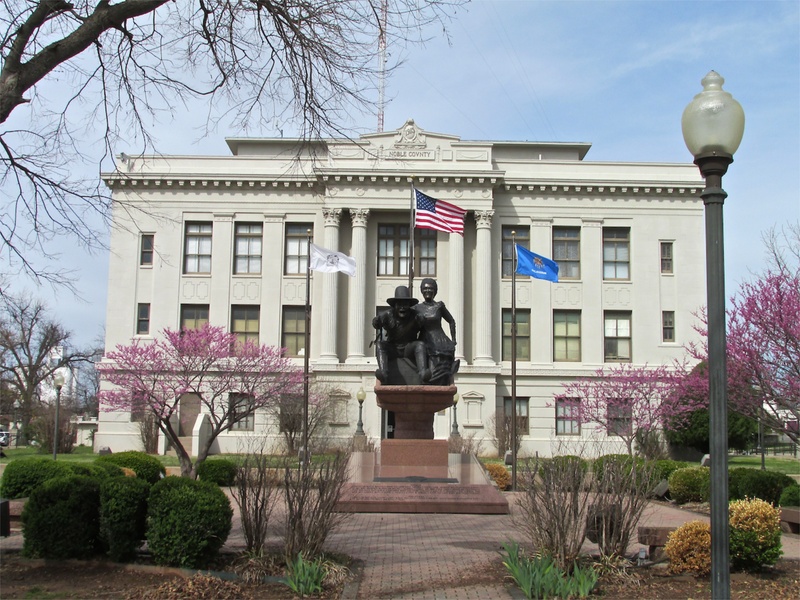 To the East of it, also constructed in the same elegant roman style architecture, is The Nobel County Courthouse. One of the famous things about this place is that Timothy McVeigh was held here after a somewhat routine traffic stop. You can read more about that HERE. More important in the long view of things “history wise” is the couple represented by the enormous stature in front of The Courthouse. These are The Boomers. 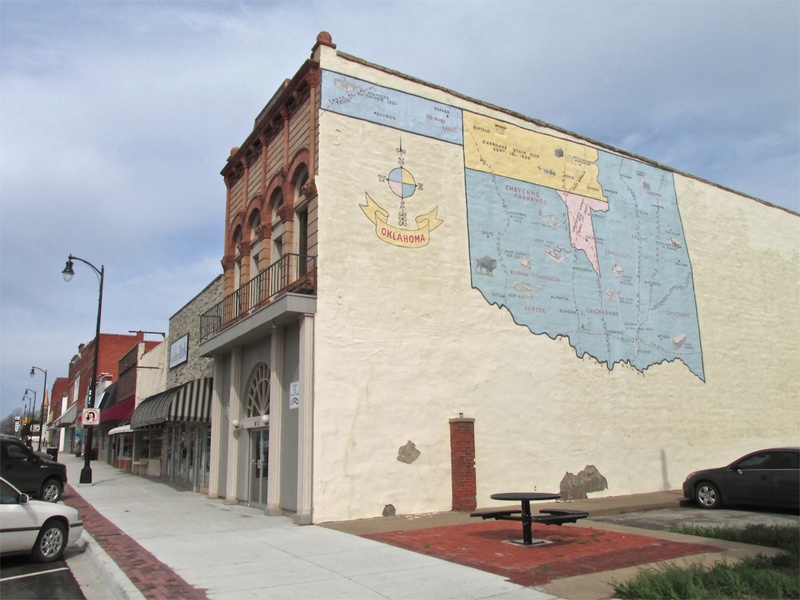 While the generally accepted term for the early settlers who raced into these parts to claim their land during The Great Land Rush is “SOONERS”, the correct term is “BOOMERS”. Sooners were people who sneaked into the territory and hid out before the actual “rush signal guns” were fired at Noon on April 22, 1889. Boomers were the ones who followed the law and waited at the starting line before racing in to stake their claim. More HERE. Just as I took my final shot of The Boomers I was hit with a fairly substantial gust of wind. Even though the “Tie Down – Wind Issue” I belabored earlier in this report had never left my mind, it suddenly became more acute. I jumped into the car to get back out to the airport to make sure my plane had not broken free of its moorings. I didn’t get 20 yards when I saw the impressive building shown below. When I saw that this bank has been extant from 20 February 1895, there was no way I could drive past without getting a shot of it. To add to that positive note, the bank has one of those neat bronze clocks in front of it, too. I’m barreling up Highway 77 heading back to the airport when once again my photographer’s eye spies something I cannot pass by. This time it is the interesting house and fence shown below. You just don’t see things like this every day so I jumped out of the car and ran to a couple of spots to get good angles from which to shoot. 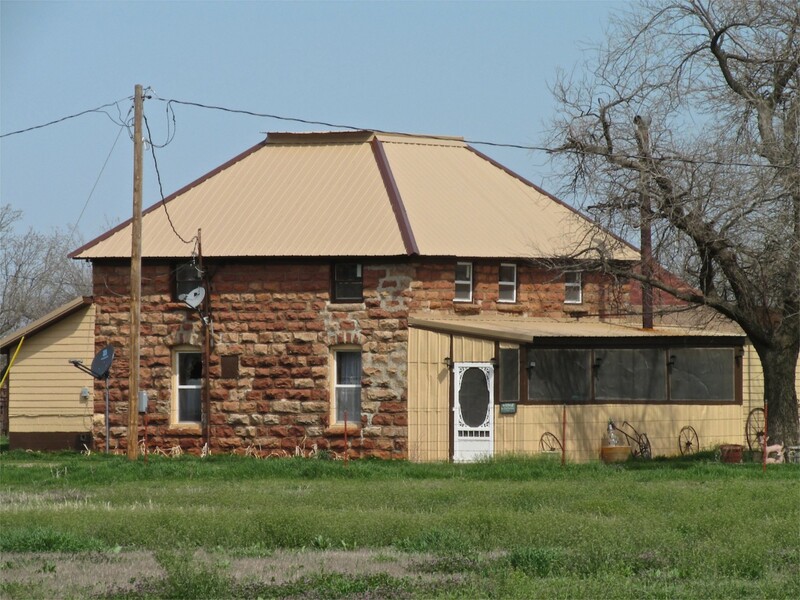 Although the roof and outbuildings don’t match the character of the old stone I think the old time magic of this prairie home still shines through. 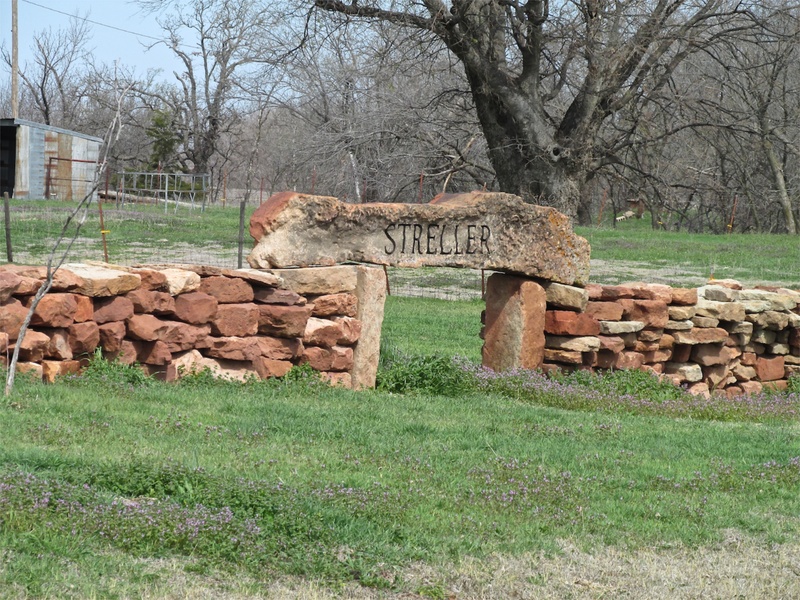 …and part of the stone fence around it. Although I saw an interesting water tower to photograph, I resisted the urge and motored on down the highway to get back to Perry Municipal. By then the wind was snapping across the surface at about 15 to 20 mph. As soon as I parked the car I ran out to see how my Quicksilver was faring in the continuously building wind blast. The ropes were still snug but the aerodynamics of the situation had caused the plane to come down on its nose wheel because of the lift generated by the wind going over the wings. If you look closely at the shot below you can see that. If you note the angle of the wind sock above you can see that the wind was building up steadily by the minute. I was beset with non clinical Cognitive Dissonance. I had many more things I wanted to photograph at Perry but by now my plane’s tail was beginning to shift positions from the wind gusts. That is the MXL’s way of telling you it is time to go. I ran over to the office to see if Darrel could help me get some gas. I through him a curve when I told him it would be better for me if he had a 5 or 6 gallon can that I could mix the oil in and then pour it into the tank. 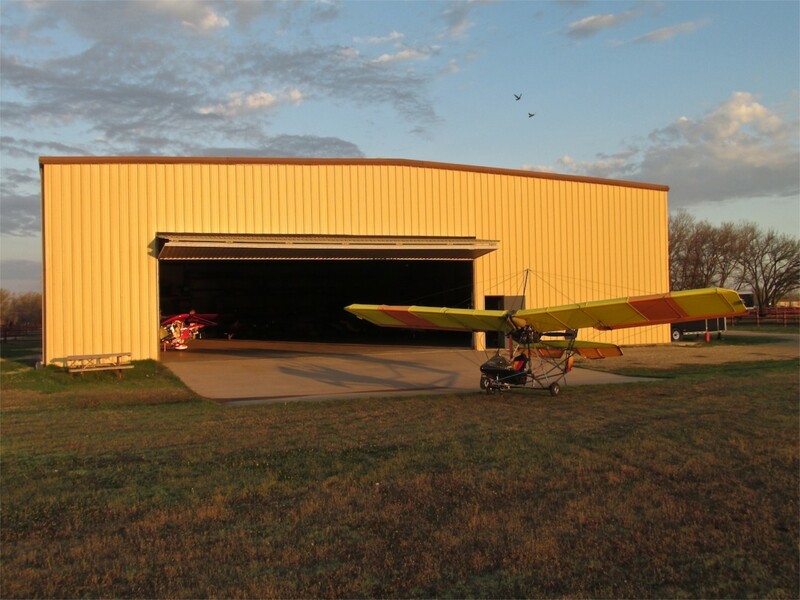 Rising to the challenge, Darrel thought where one might be in a neighboring hangar. Good fortune was with us and soon we were putting gas into the plane. Once that was done, even though it was much warmer by then, I had to suit up again because there is no baggage hold on the Quicksilver. I jumped into my snow suit again (I decided to leave the hangar as a present for Darrel) while continually watching my plane as it was getting “squirrelly-er” by the moment. Believe me, I know this is borderline obsessive behavior but I suddenly remembered that Darrel had told me Ditch Witch Corporation was now keeping their Cessna Jet in Perry’s big hangar. I had to have a picture of it so we hustled next door for the shot. After getting a picture of the jet, the only important thing left to do was to get a picture of me at the airport. This would provide two purposes. 1) It would allow you to see the outfit I wore to combat the early morning cold. 2) It would prove I had been to Perry. After helping me fuel up, Darrel was amenable so he took the picture below to “Set The Anchor”. While it is not apparent from the picture above, the wind at that point was about 20 mph and gusting. Some visual clues… Note that the right wing tie down is fairly taught and the nose wheel is pressing on the ground… I asked Darrel to stick around to hold the wing while I untied the tail and both wings before turning the craft around and starting the motor. We did this without too much trouble but I would have been hard pressed to do it my self and appreciate Darrel’s assistance. After warming the motor up for a minute I turned into the wind, waved to Darrel, advanced the throttle and was airborne in mere feet. With full throttle I was up to 300′ AGL in moments. While I had scanned the pattern carefully before taking off, my first order of business as I soared nearly straight up was to swivel my head about looking for traffic I might have missed. During this short time I was making almost no forward (Southerly) motion. The wind was strong enough so that combined with my high climb rate and typically slow speed, I was pretty much climbing in one spot. After about 20 seconds of this I could see nothing to be gained by slowly creeping South to approximate a proper pattern exit, so I made a hard left 180 and “caught the wave”. During this maneuver my GPS went from about 5 mph heading into the wind suddenly increasing to 70 mph across the ground when I made the turn. I always like to take a “departing” shot of the airport. With all that went on prior and during takeoff I almost forgot to do this. When I was able to finally grab the camera I decided a shot through the MXL tail of Perry Municipal would have to do this time. Perry Municipal soon fading in the distance. 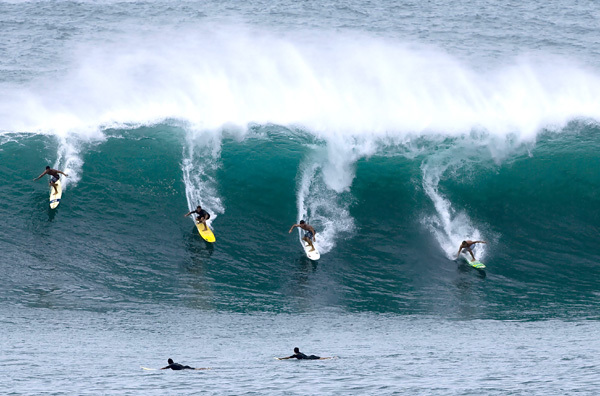 From The Sky Surfer’s perspective, the trip back from Perry was like the scene below: Everybody but serious surfers – Out of the Water! 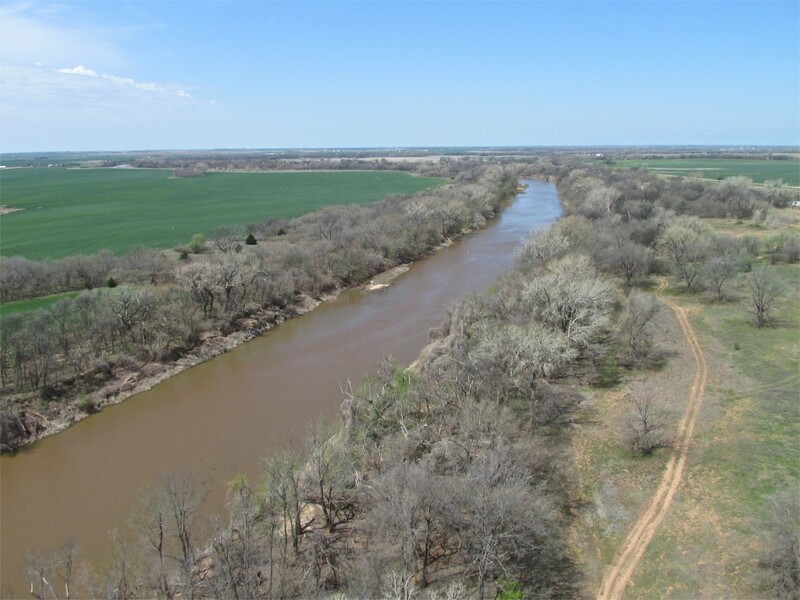 Shot from about 80′ AGL looking West, I think this is Red Rock Creek just west of Red Rock, Oklahoma. I know 70 mph is no great shakes but it is exhilarating to attain that speed when one has the engine dialed back to minimum cruise power and barely sipping gas. As I approached the scenes below I couldn’t tell what town I was seeing. Just as I was passing by I realized it was the Casino East of Tonkawa because I saw a guy waving to me from the Casino front door. I’m figuring all those houses are tribe members and/or Casino employees. In rapid fire, just Northwest of the Casino I saw two big-tired trucks maneuvering in the field to set up a drilling location. I could barely get the shot. The Casino is the building behind my rear flying cable with the cars parked in front of it. 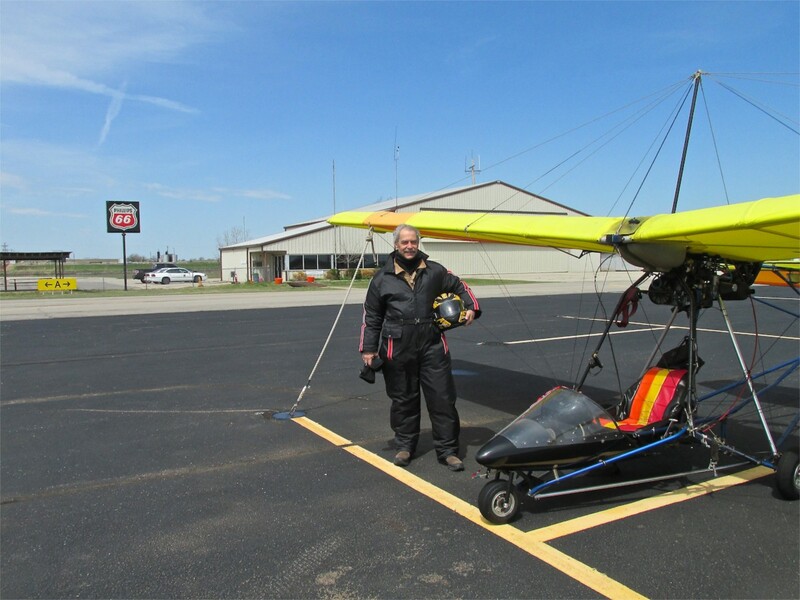 With a 20 to 25 mph tailwind I was whizzing along faster than usual showing 65 to 70 mph ground speed on my GPS. It was also fairly turbulent but The Sky Surfer loves this combination. Regardless, it took me a few beats to figure out what I was seeing below me at this point in the flight and by the time I did I only had a couple of moments to snap some shots. They are “marginal quality” but I hope they will present the topic to you… What you are seeing in the next two shots are a new variety of seismic detectors. They are connected to the base station by radio and I think they also have GPS locaters built in them also. Once in place the ground is shaken by a big “shaker truck” or maybe they still set off explosives. Then these sensors give them a picture of the strata below the surface. With the right software they can see this in 3D. 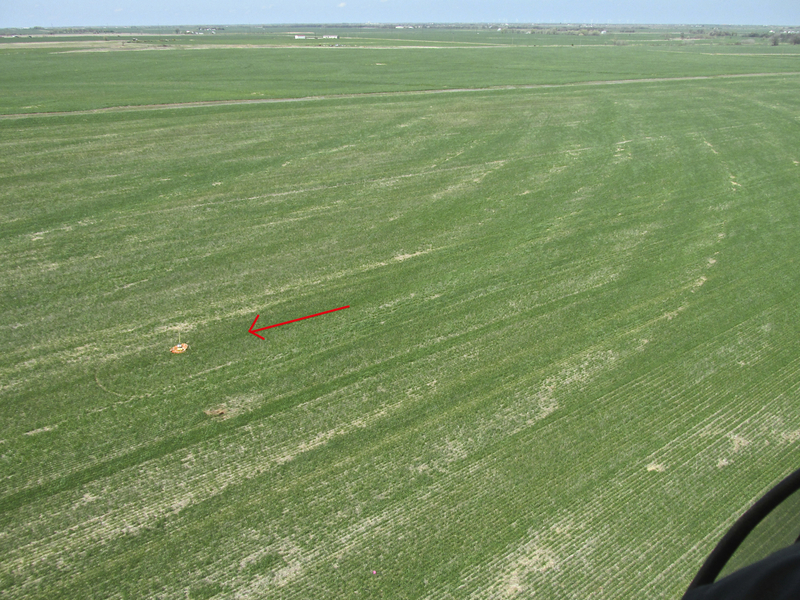 Most of the sensors were sitting on orange-colored carry bags and they were spread out in a huge matrix covering at least 160 acres. In an earlier time these microphones had to be linked by cable or each position had to have its own seismic detector/recorder. This system is far better for a long list of reasons. This one is sitting on its orange transport bag. Two more at the North end of the matrix. After seeing all the deer running throughout this countryside you can appreciate the placement of this deer blind. 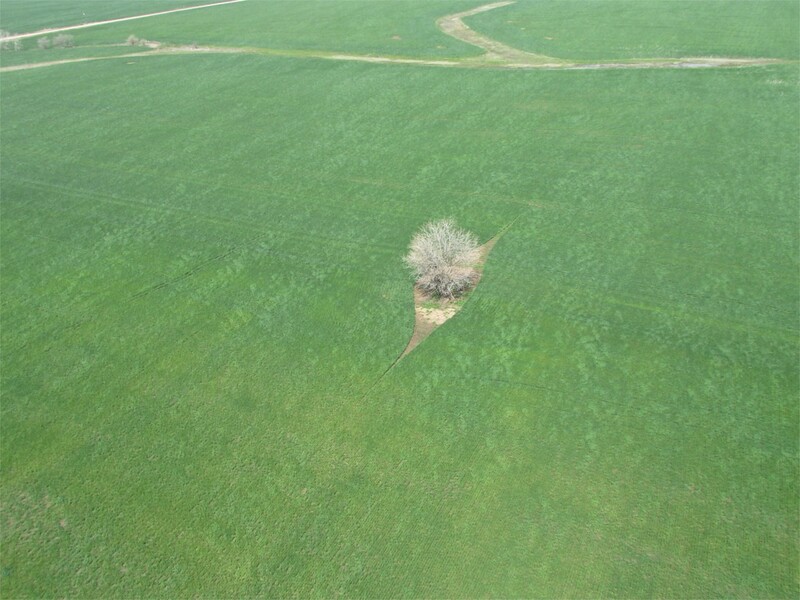 This farmer decided long ago to keep the tree and plant around it. I like the look of this farmstead with its round-top silos. 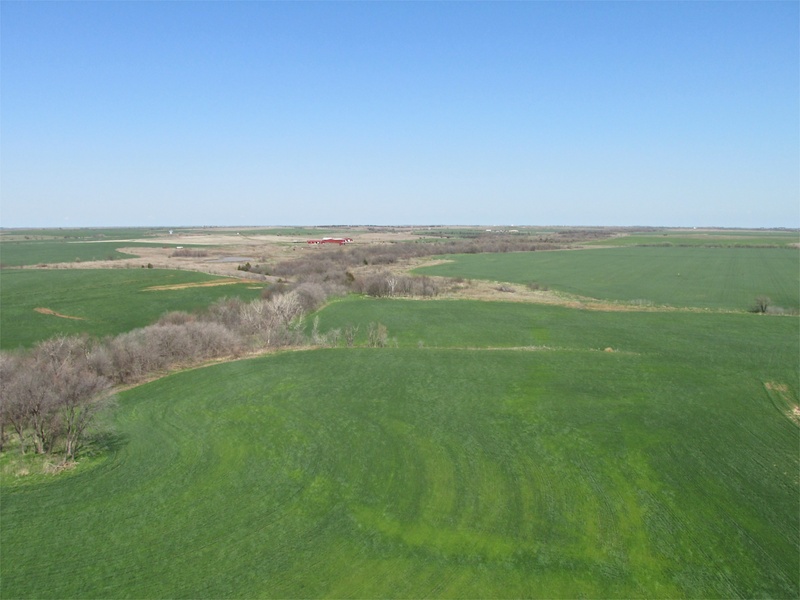 It is about 2 miles West of Mulvane, Kansas – Taken from about 150′ looking East Northeast. That “speck” in the distance is actually a Boeing KC-135 Tanker. 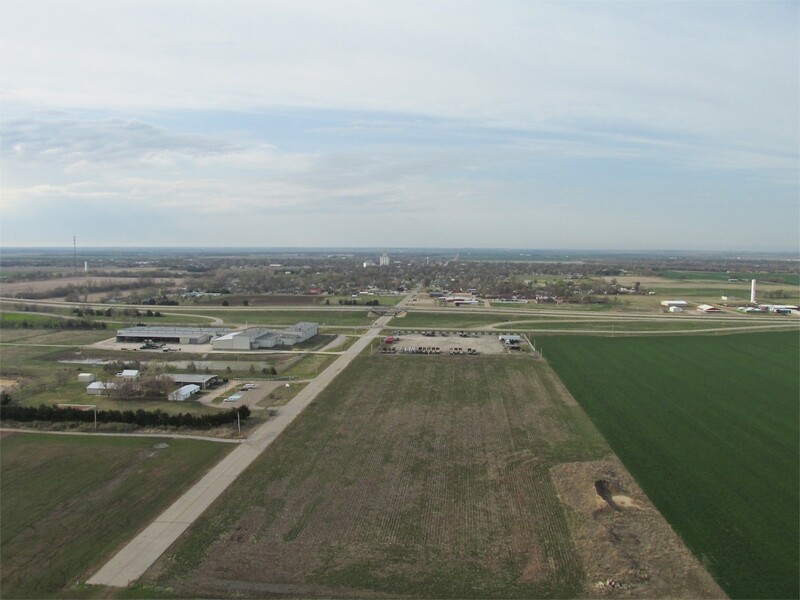 Selby Aerodrome, where I hangar is almost directly South of the N/S runway of McConnell AFB – Taken from about 300′ looking North. 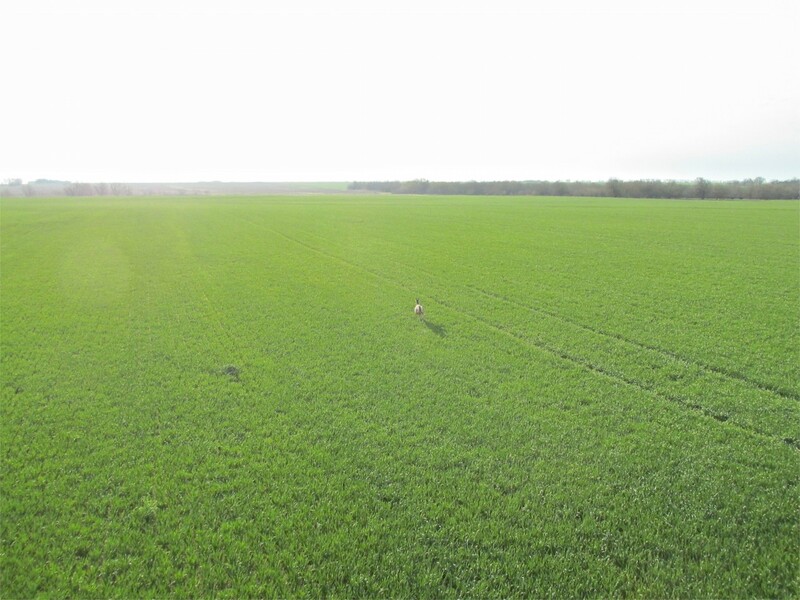 As I have made redundantly evident, the wind was fairly significant from about 10 o’clock that morning and continued to increase in speed throughout the flight back to my home base Selby Field. 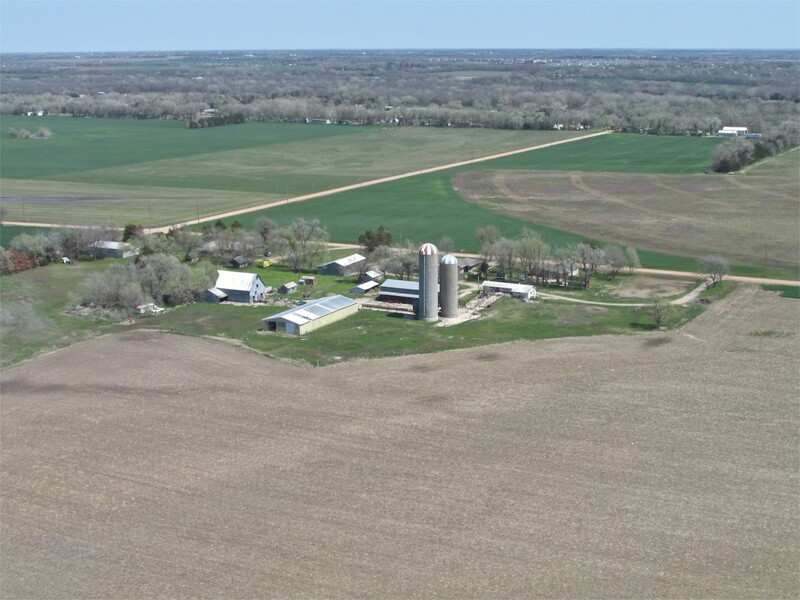 The picture above was taken on the home stretch about a mile East of my airport. At this point, the wind was 30 mph with occasional gusts to 40. 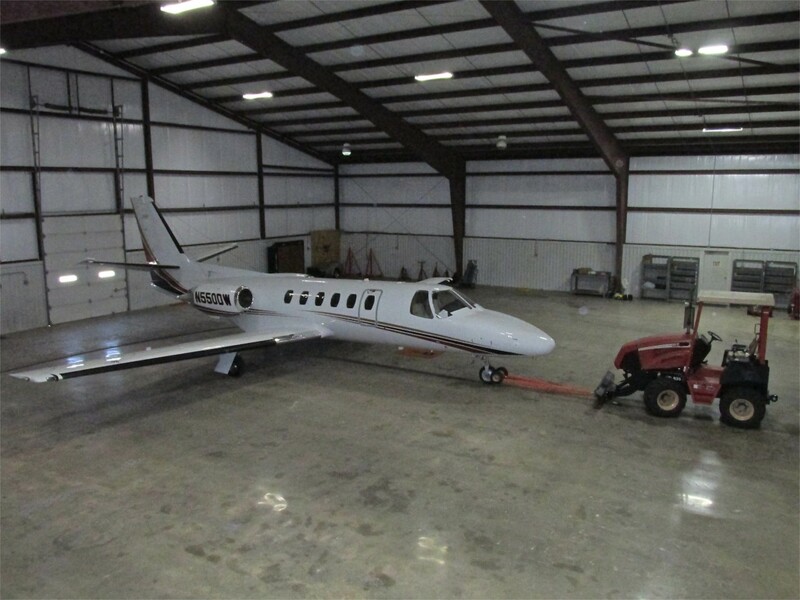 While requiring a “heads up” mindset, for me, flying the MXL in that type of wind is not the problem – getting out of the airplane to open the hangar door IS. Normally when I “return to base” and have fuel remaining, I make a number of “low pass” circuits around the pattern for fun. This day because I had such a good tailwind home, I had plenty of gas left. But after 4+ hours of airtime up and back to Perry, I was about ready to return to earth. I decided after landing I was going to taxi to the “wind shadow” on the North side of the hangar. Then I would run over and open the hangar and then walk the Quicksilver into its perch with the tail into the wind. 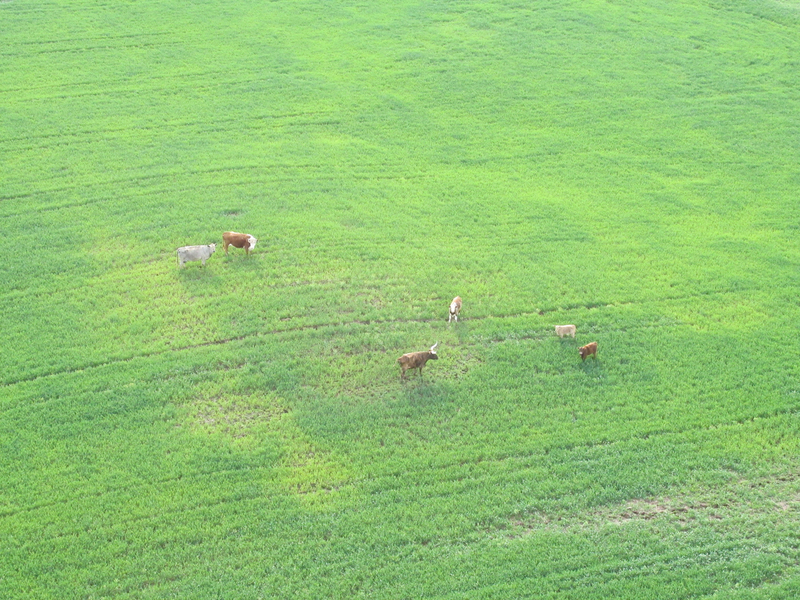 I was making another circuit of the field in preparation of landing when – Lo And Behold! – the electric hangar door started opening by itself. There were no cars in the parking lot so I couldn’t figure who was opening. Nonetheless I marveled at my good fortune. As soon as the door opened wide enough, I touched down and stopped near the entrance and then pulled in out of the wind. Steve Ewing Makes A Great Flying Day Complete! It turned out that my buddy Steve Ewing was working on his Quicksilver GT-400 in the hangar next to mine. His truck was behind the structure so I couldn’t see it when circling the field. He heard me buzzing around and figured I would appreciate the open door. His comment was “Man, that engine and prop of yours sure sounds great!” It was a great finalé to a fine adventure! Awsome Brian!! That was real adventure! You do a great job of presenting your story here. I plan on taking some fun cross countries in my AirBike as soon as I get it back together and the weather turns a little warmer. Keep up the good work. I love reading your flying stories!!! Excellent, Doug! I’m glad you liked it. If it clears up tomorrow I am going to grab some air. I had hoped I could make another Fun Run but I don’t think the field will be dry enough for a sunrise start tomorrow. Well, we know summer is at hand when the Sky Surfer begins to make the longer x-country trips. I never knew Perry to be as interesting as you have presented it. Great article! Great photos! 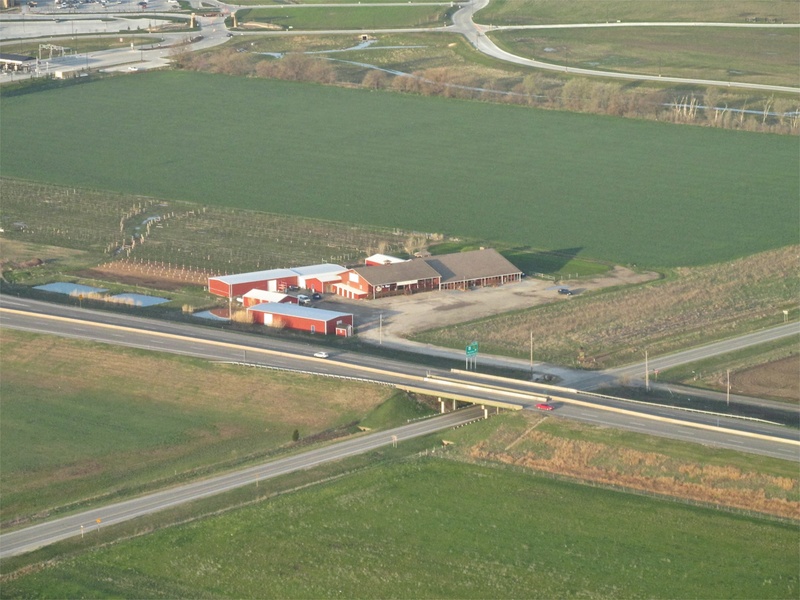 I have driven I-35 past Perry countless times on our way to Kansas City and recognize many of the scenes you shot from the air. 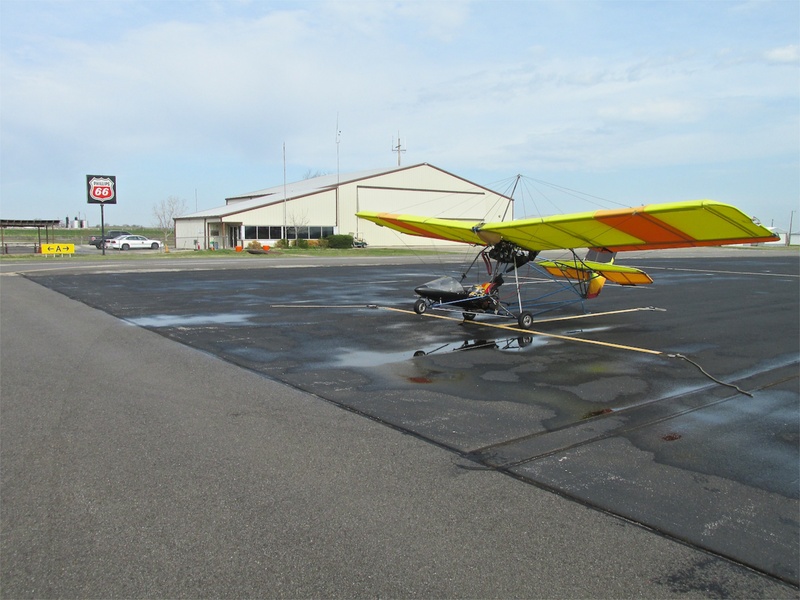 I am waiting impatiently for the weather to warm up so I can get the Fisher out of of hibernation and out flying. 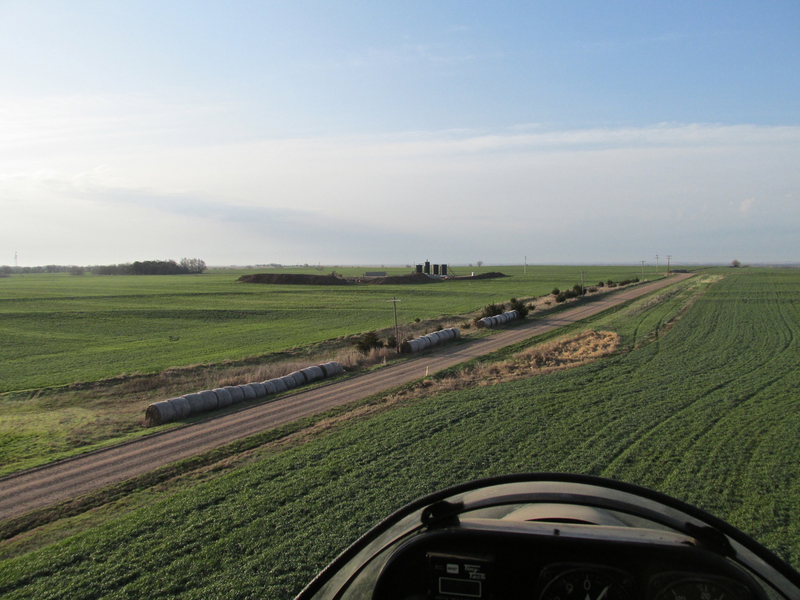 I have gotten to be a warm weather and low wind wimp and the flying opportunities have been few so far this year. 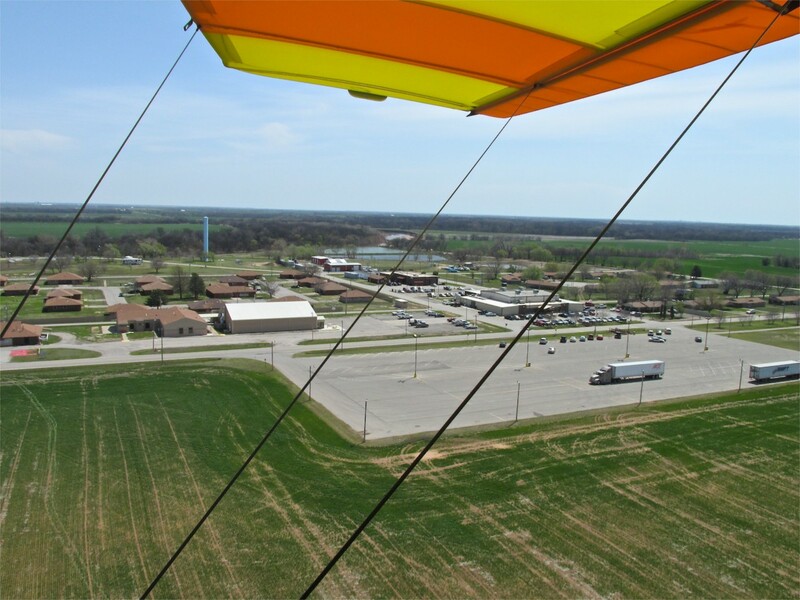 May, however, offers some good flying destinations, one of which is the Junction City, National Biplane Fly-in at the end of the month. Hope you are still planning to be there. Looking forward to meeting you then. Great to hear from you and glad you liked the adventure. It was a whirlwind tour of Perry but I at least got the flavor of it. I am definitely planning to make the trek to The National Biplane Fly-In. I have my route and fuel stop already planned. I am thinking I will have to be flexible as to my length of stay. I am still working on that part of the plan. Excellent story and pictures Brian. Keep em coming! Thanks, Nate! I had wanted to go on another run this morning but everything is too wet after the rain of the last two days. Next Saturday I have the fortune to shoot video of Ike Enns’ Mustang at the McAllister, Oklahoma Fly-In so there will be no Surf Report that Saturday either. Ike will be in Part IV of my Classic Airplane doc series. I am very happy he agreed to participate. He has excellent and complete knowledge of the P-51 and is an aviator of voluminous experience. I always enjoy your pictures and comments. I think this time there is a slight error. I’m pretty sure those are wheat fields, not corn fields. Sorry to nit pick. Glad your engine is back together and your flights have resumed! Thanks for sending me this message and, believe me, you are not nit-picking. I really want my reports to be factual. Would you mind telling me which shots features crops I have misidentified? I would like to put in corrections. Brian, thanks for the refresher course on I-35 from the air. I always enjoy your well calculated flights and how you make them more interesting with your research. 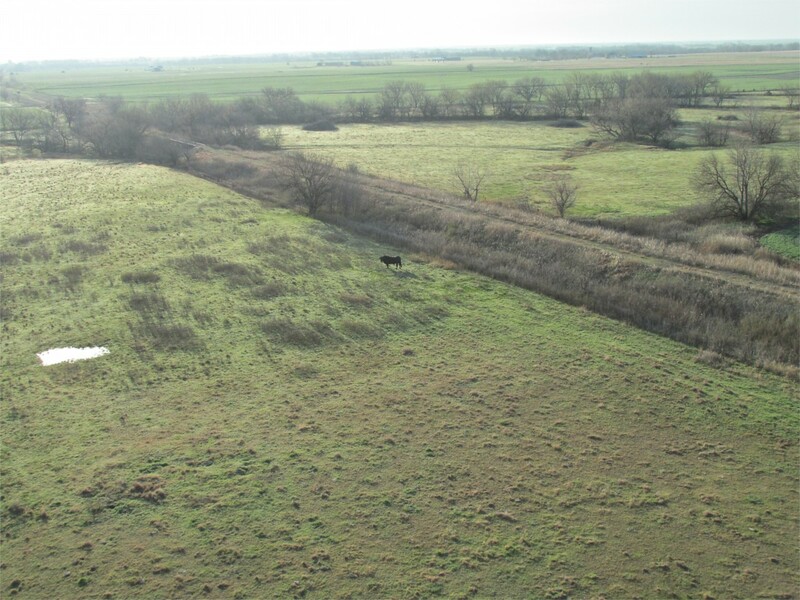 The first thing I see when I pass thru Perry southbound (which I’ve done at least dozens of times, is the fairly large covey of Buffalo usually grazing in the fields on the east side of I-35 about 1/2 to 3/4s of a mile south of Perry. Sometimes they’re right up agin the highway and I always slow down to view em. When Nancy and I came home from DAL/AUS about a month back, they were nowhere to be seen? I was set to make a journey Northeast this morning but the rain has made things too wet. The Sky Surfer only likes the dry waves of the air. Mud he don’t like. I’ll be looking for you this Summer! #1. Don’t squat with your spurs on. #2. Don’t interfere with something that ain’t bothering you none. #3. Timing has a lot to do with the outcome of a rain dance. #4. The easiest way to eat crow is while it’s still warm. #5. The biggest trouble maker you’ll probably ever have to deal with watches you shave in the mirror every morning. #6. A woman marries a man thinking she can change him. But she can’t. A man marries a woman thinking she’ll never change, but she does. #7. Never ask a barber if you need a haircut. 8# Never miss a good chance to shut up. Thanks, Bruce! Cowboy Wisdom is the best. Live near Perry and have worked for CMW for nearly 20 years. 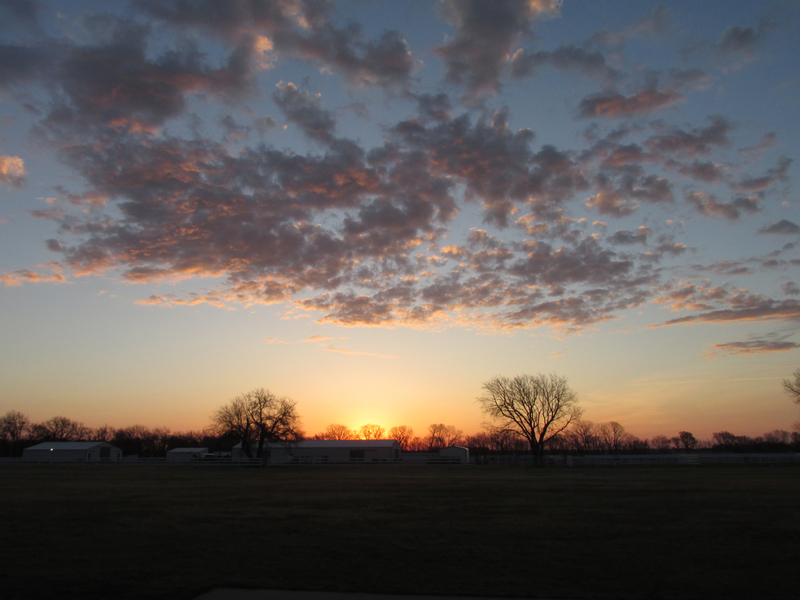 Wonderful pictures of the Perry and Noble County area. If passing by again let me know… I would be happy to give you a tour of our 30 acre (under one roof) manufacturing plant and campus. I’m glad you liked the report. I was very impressed with Perry. Regarding Charles Machine Works, when researching the flight I was concerned that the Municipal Airport was so far from town. 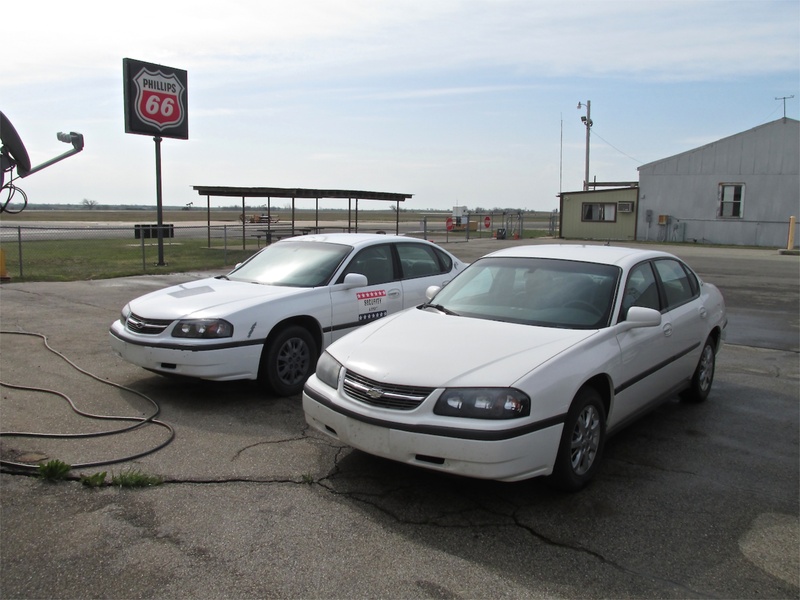 Before I discovered they had a courtesy car I was going to call CMW and see if I could land on their decommissioned airport. 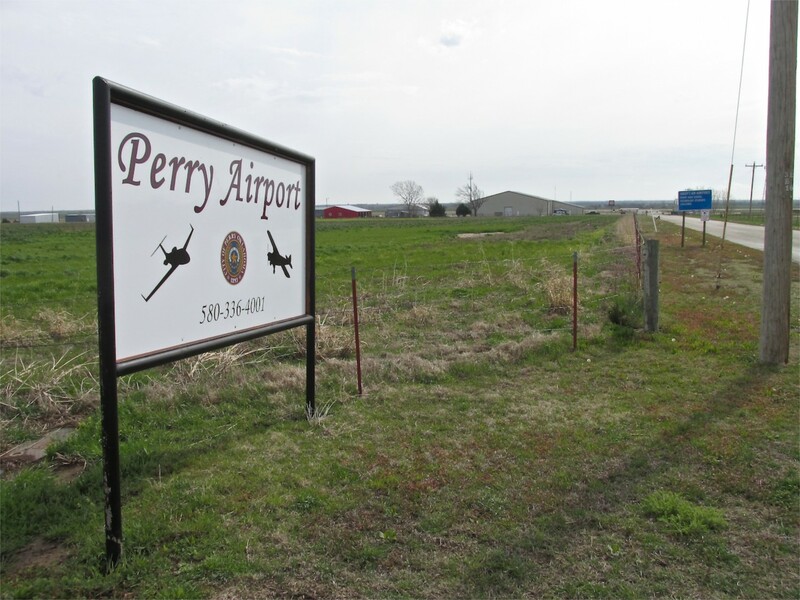 After landing at Perry Municipal I mentioned the idea but was told they were sure it would not be allowed. Having the loaner car was every bit as good, though. I still have lots of towns to visit anew but I will keep your invitation in mind. I would love to see the inside of a manufacturing facility such as that. 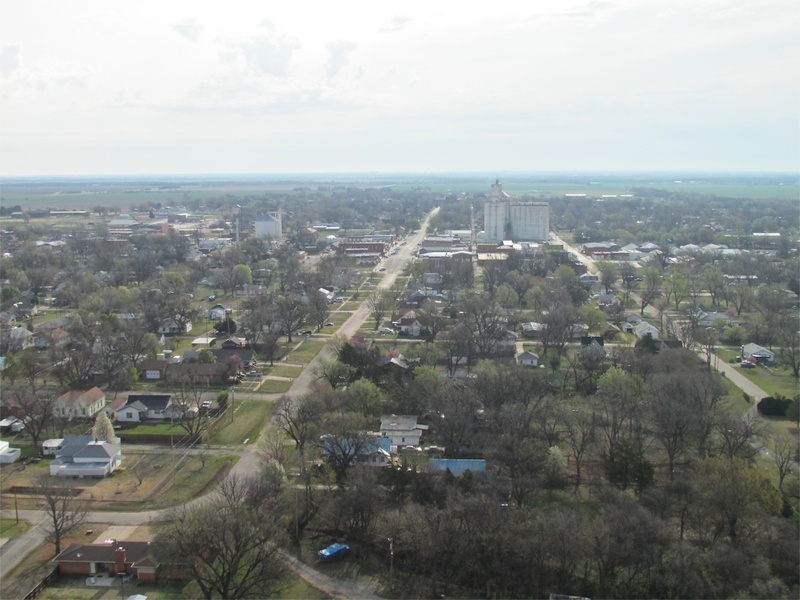 Two weeks ago I flew to your neighbor Ponca City, for their Monthly Fly-In. Everything was perfect. It is the next story in line as soon as I finish the Alva report I am working on now. Looking forward to your Alva report. I spent 3 years of college at Northwestern State and know the city and Woods county very well. 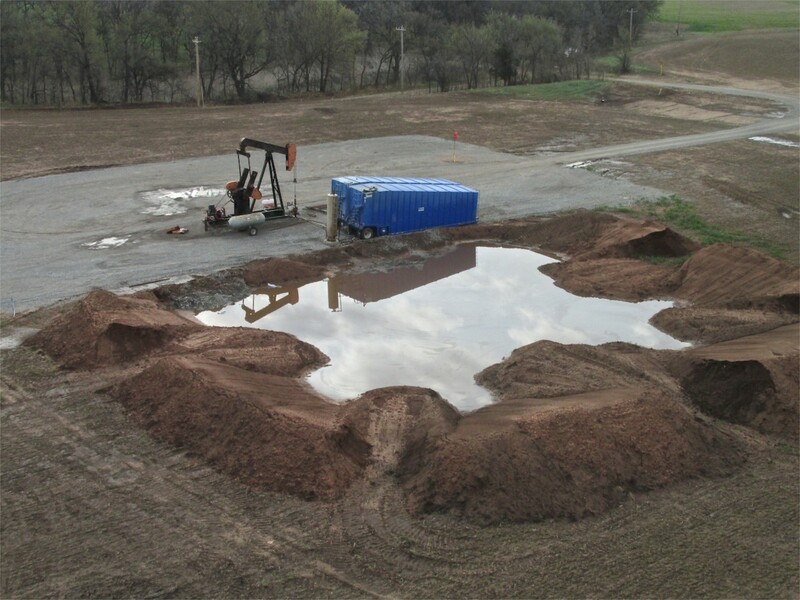 A little more on Ditch Witch… Our founder and President (93 year old) Ed Malzahn, who by the way is still in the office from 7 to 5, most every weekday, was interviewed on this website a few years back… http://www.voicesofoklahoma.com. He tells the history of all the things that you saw on your flight. Our state, city, county and company. I know that you will find it very interesting after reading your report. 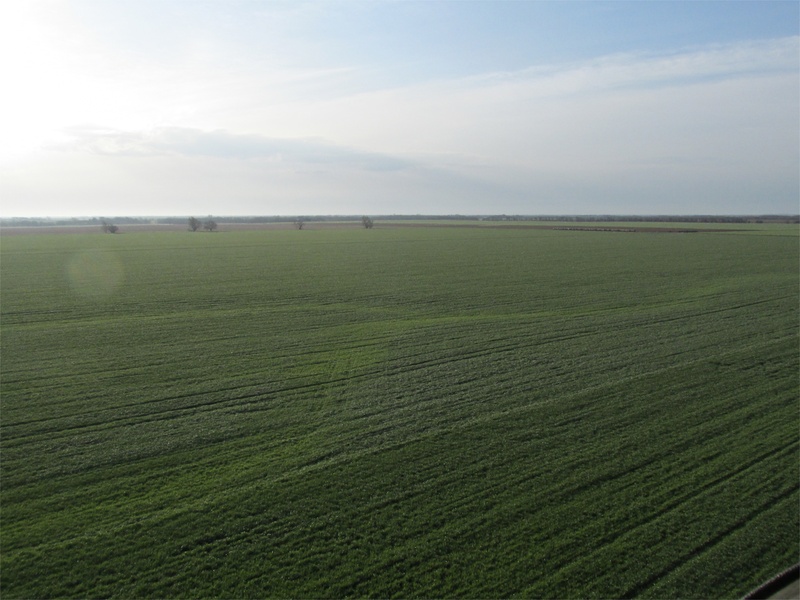 I just uploaded the Alva report. You should have received an email notice a few minutes ago. Thanks for the link to the Malzahn Interview. I will listen soon.